There’s so much opportunity for making amazing laser cut products (and profiting from them, too!). But where to start? 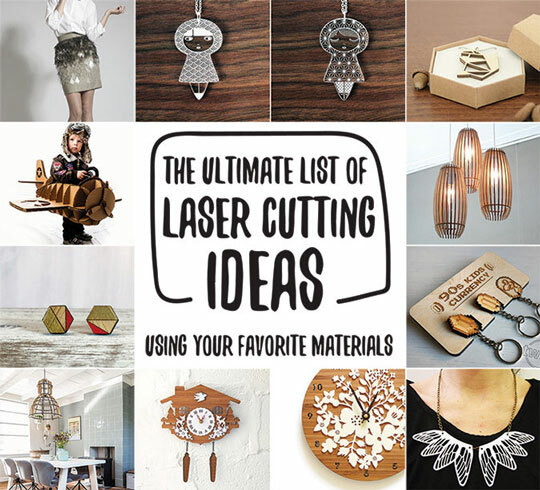 To spark your creativity, we’ve scoured the best Etsy shops, Instagram feeds, Pinterest boards and blog posts from all over the web to find the coolest custom laser cut design ideas from top designers. It took some doing, but we narrowed the list down to 150 of our faves. Whew! With so many ideas, we wanted to make this post easy to navigate and refer back to. So we divided the story into two sections. The first section contains 100 laser cutter projects organized into popular product categories. If you’re a maker with an affinity for a particular product, this section is just for you. The second half of the story features 50 laser cutting ideas divided into 10 groups based on top-selling materials. So if you love a certain material and want to expand what you’re making, scroll down and get inspired. You may notice many geometric designs made the list. Well, we do love some geometry! 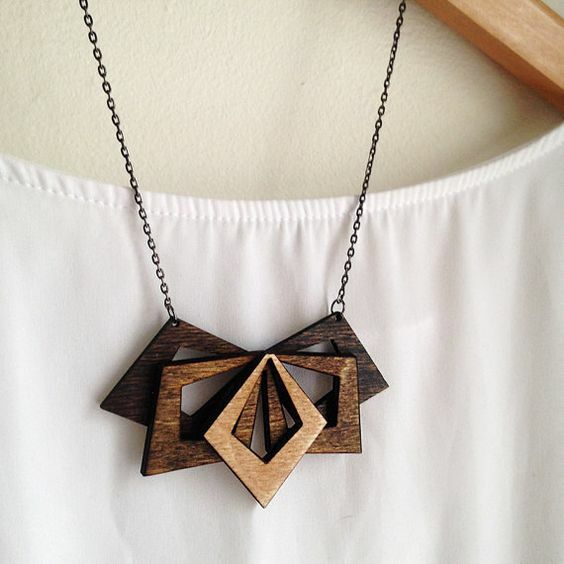 But here’s a truth bomb when it comes to laser cut products: Laser cutters love geometry, too. Straight lines are less complicated to cut than curved ones, so it’s faster to make this design style. And when we’re talking laser cutting, time is money. So faster cutting designs are less expensive—an important consideration if you are selling your laser cut products. Geometric designs are also a lot easier to nest (share cutting lines), another cost savings tip. #winning! So are you ready to get inspired? Let’s do this. 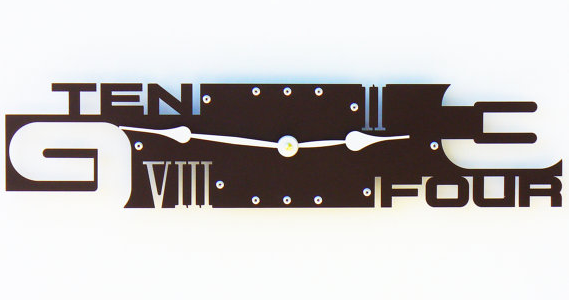 Do you make clocks, coasters, art, jewelry, electronics cases, wedding decorations, bookmarks or signs? 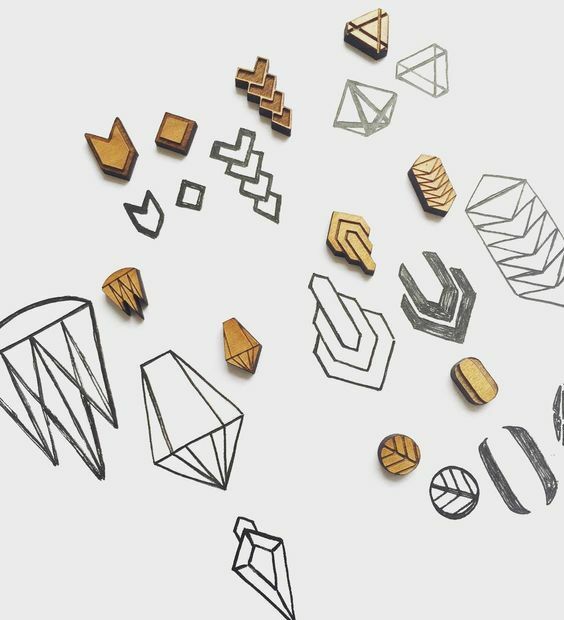 Then take a look at these laser cut ideas and get inspired to create your own designs. Time is an illusion, but that doesn’t mean we can’t make sense of it. 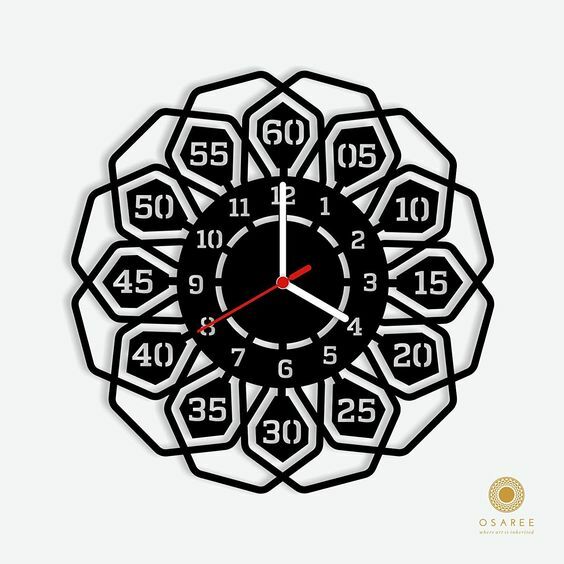 While the concept of a clock is relatively simple, telling time doesn’t need to be boring. Just combine creativity with some maker skills and you too can build one-of-a-kind DIY timepieces. These inspiring laser cutter projects will turn you into a horologist in no time. Chicago-based artist Sarah Mimo brings a unique eye to her clock creations. Her background as a freelance designer at a textile company coupled with inspiration from the ornate beauty of Europe’s public clocks results in an layered visual approach to clock making that is truly original. Find this (and more!) in her Etsy shop. 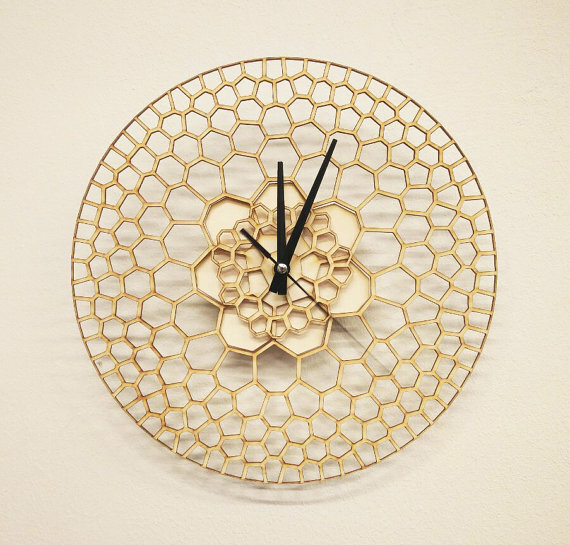 When it comes to style, this honeycomb clock is oh-so sweet. Etsy seller Woodinky found inspiration in the Voronoi diagram combined with parametric design theory to create a time keeper that you don’t have to be a mathematician to love. 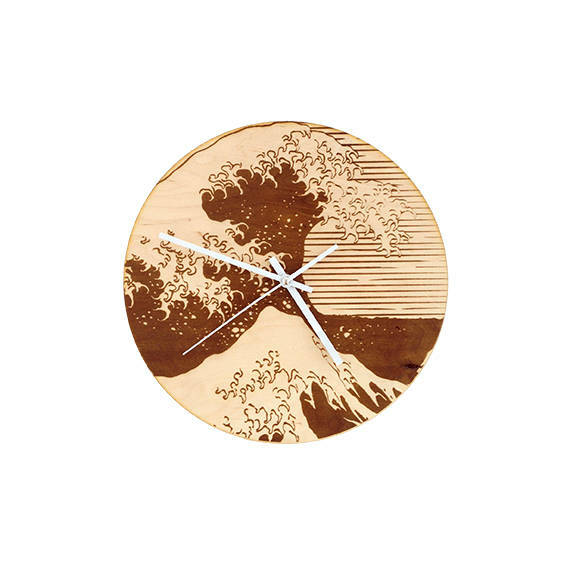 Inspired by iconic The Great Wave Off Kanagawa by artist Katsushika Hokusai, this wave clock from Etsy shop RockwoodArtShop captures the details with the precision of laser engraving. 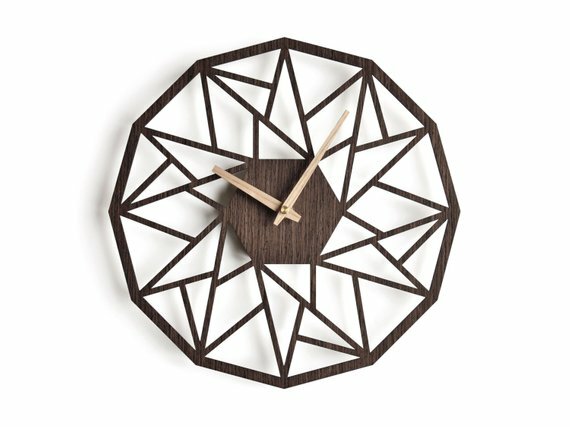 This dodecagon clock from Etsy seller NIUSdesign is a 12-sided polygon filled with repeating triangle and trapezoid shapes for a unique, modern aesthetic. 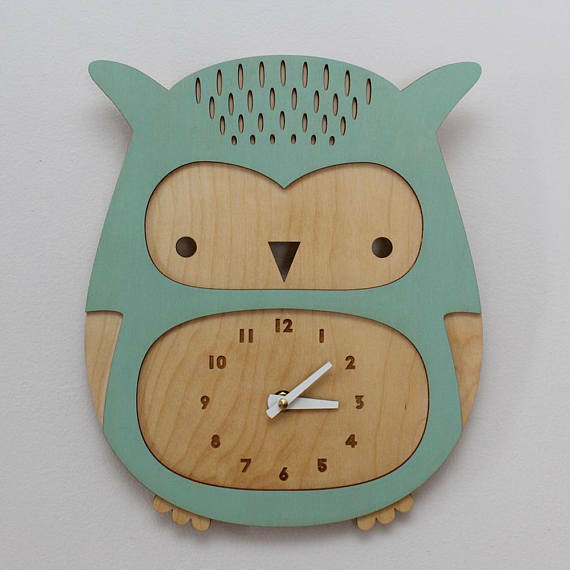 Woodland themes are super popular modern nursery décor, and this lovely birch wood owl clock from Etsy seller ohlittlewren brings some timely whimsy to any room. The painted cool mint accents create a pretty contrast with the birch wood while keeping the clock gender neutral for parents who are going for the surprise. 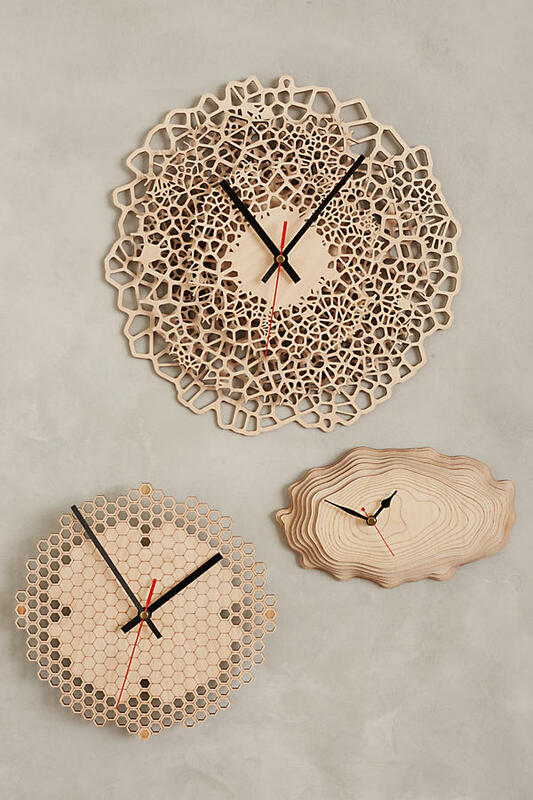 These Baltic birch wall clocks from Anthropologie start as a solid piece of wood (right) that is then laser cut in a giraffe pattern (top) or honeycomb (left) to bring a natural yet geometric aesthetic to telling time. 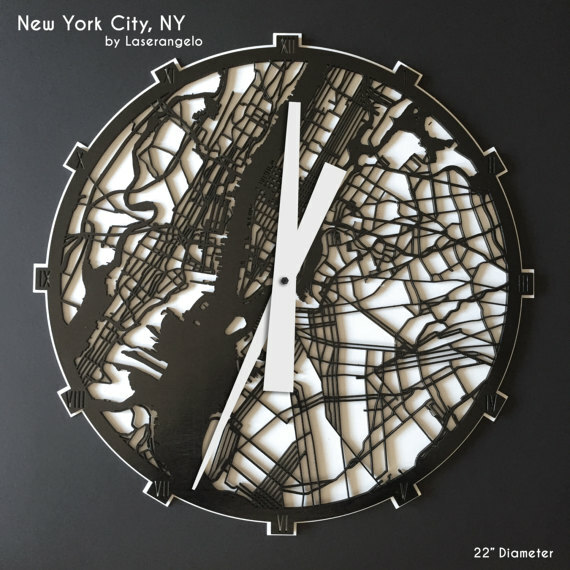 In a city that never sleeps, keep your days and nights straight with this New York City clock from Etsy seller Laserangelo. The roads and waterways are laser cut from birch in the foreground, and land area is the acrylic background. With this hanging on your wall, you can keep NYC in your heart even if you don’t call the Big Apple home. You don’t have to be from Georgia to be a bulldog fan. This original pet portrait line drawing by Adam Regester Design has been laser engraved so the image is both strikingly realistic as well as durable. 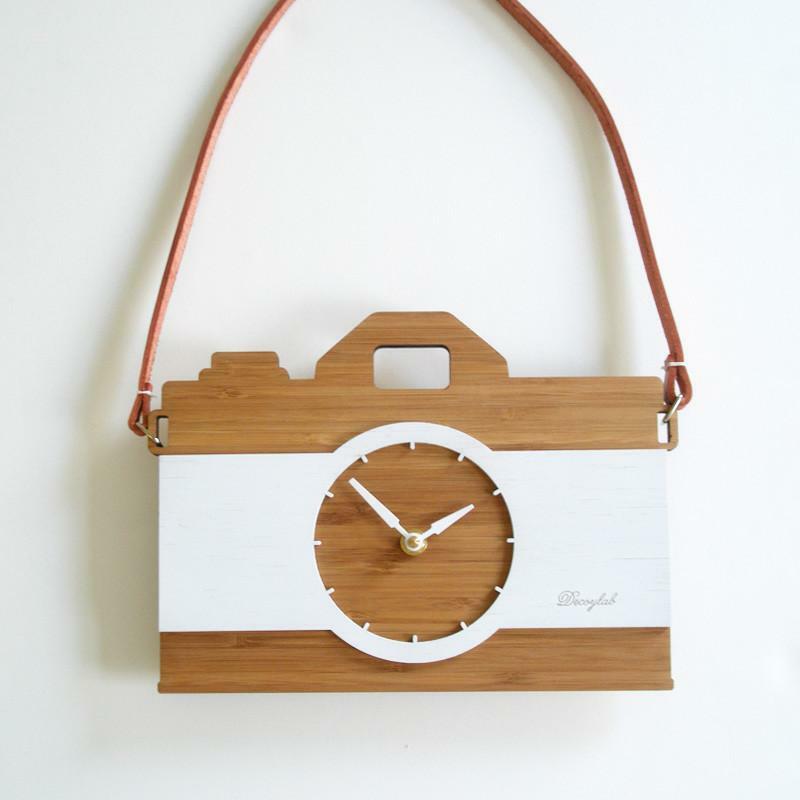 Capture a moment in time with this vintage style camera clock from Maiko Kuzunishi. The combination of laser cut bamboo and leather give this clock a unique look and feel. 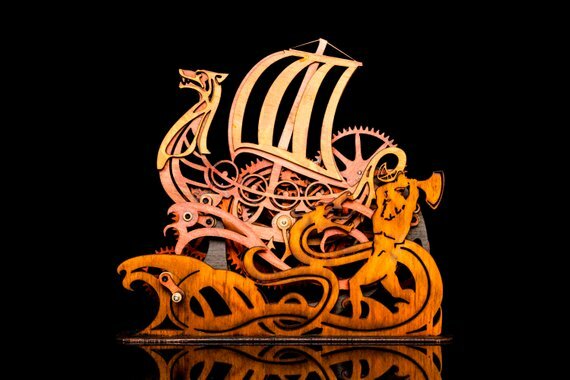 While this wood sculpture doesn’t technically tell time, it uses clock gears as the mechanism to depict the Norse legend of the Midgard Serpent. It took Etsy seller MadnessAndTea a year of design and experimentation to get the intricate cog design just perfect. See it in action here. If you’re killin’ time, don’t use this clock for target practice. Etsy seller Momendala took a hand-drawn illustration and turned it into a whimsical wall clock that you can’t help but keep in your sights. 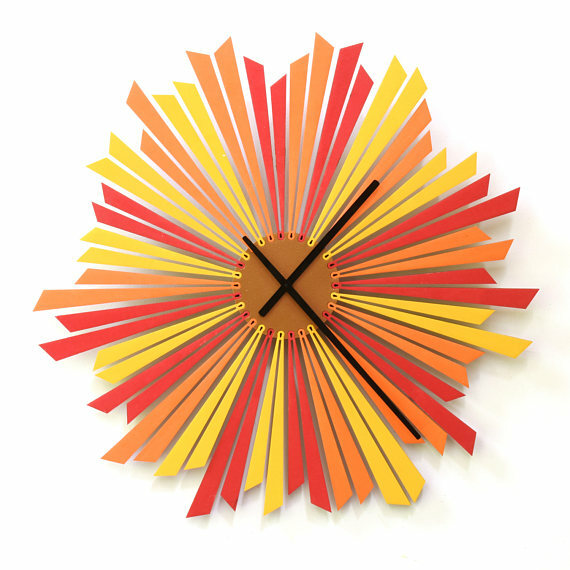 The Setting Sun Clock from Etsy seller ardeola is more than just a clock; it’s a striking piece of art. Laser cut from 6mm birch, each piece is hand painted in alternating colors of metallic gold, red, orange and yellow for a modern take telling time with a sunset. As part of the “Britain, Naturally” collection, artist and designer Max Cairns paired birds with the flora from their natural habitat. “The colors chosen are then inspired by these elements,” he explains. “For example, the Redshank + Samphire Clock has a very coastal theme and is where these species can be found so the turquoise and blue is then a reflection of that environment.” Learn more about Max and the inspiration behind his work here. 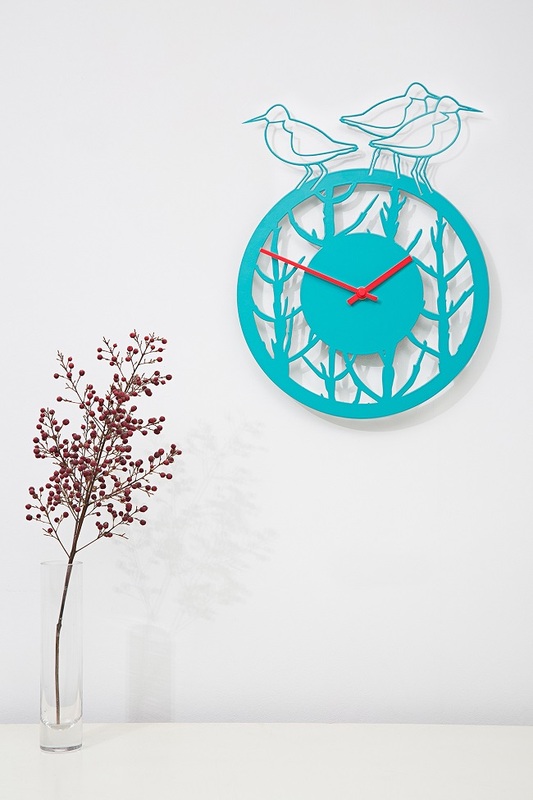 In contrast, this Fabulous Flora Modern Wall Clock uses a geometric style to offer a different take on the natural world. To give it an even more modern feel, laser cut matte black acrylic was chosen for its sleek aesthetic. 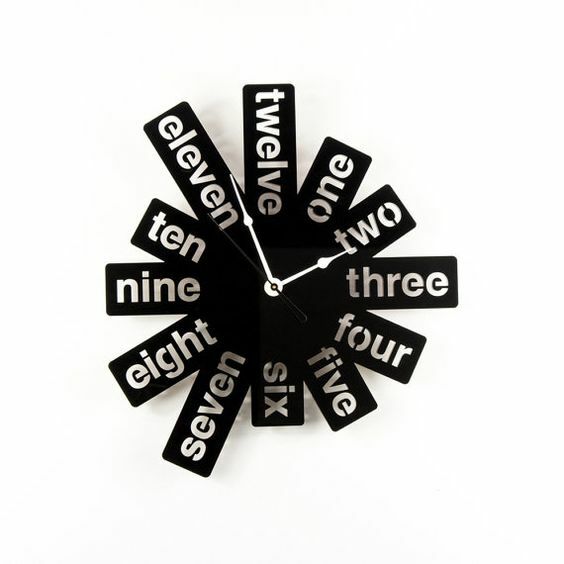 Rather than tell time with numerals, this WoodEnvyDotCom clock spells out the hours for a wordy take on timekeeping. 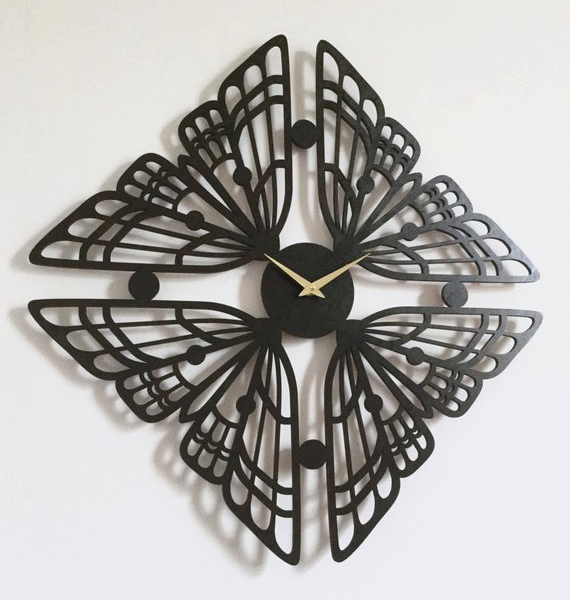 Rather than laser cutting the face, this timekeeper stands out because it’s the clock hands that are laser cut into wings. 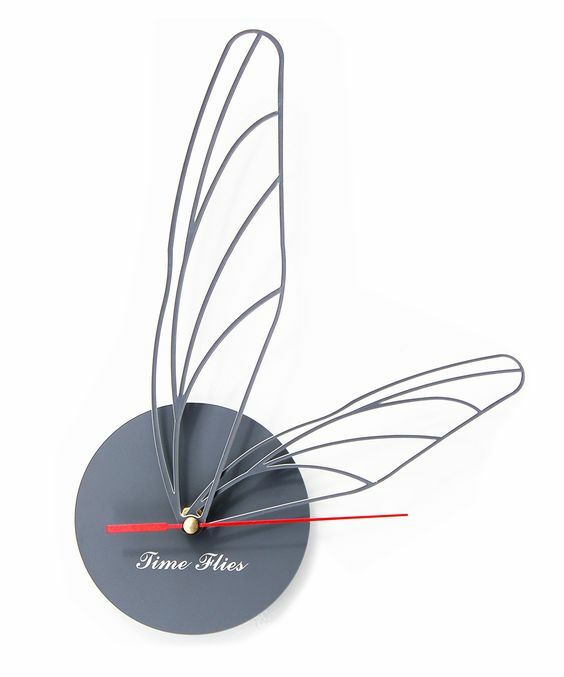 Not only do we know time to fly conceptually, but this clock also demonstrates how the hours can literally fly by. 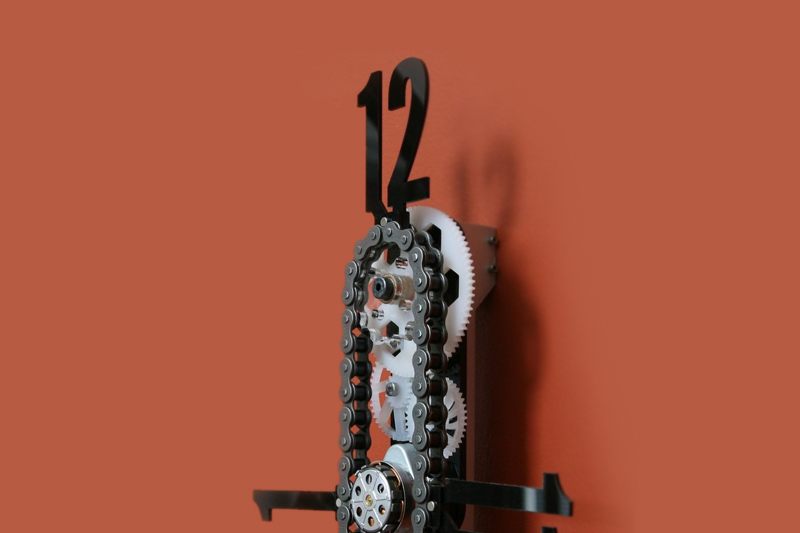 This exposed gear bike chain clock with laser cut gears and numerals from Needlessly Complex lives up to its name. Every part of the mechanism is required for it to work, but the thing as a whole is more complicated than it needs to be—thus, needlessly complex! Engineer Connor Nishijima loves the style and functionality of Nixie tube clocks and wanted to build one of his own. But the price point in today’s market was a deal-breaker. 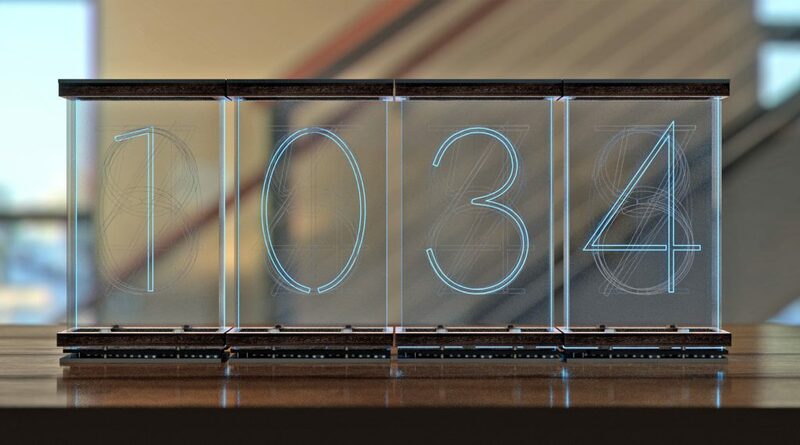 So he designed and built the Lixie—an LED Nixie clock—that incorporates edge lighting laser cut acrylic with a wooden base for a fresh take on modern time telling. What time is it? Time to make a clock! If you’re inspired by all the laser cutter projects above, stop messing about. Time’s a wastin’! This guide to how to make a clock will get you started. Coasters have utilitarian value, but when you make them visually interesting with some high design they’re even more appealing—whether you’re selling them for a profit or using them as a promotional tool for your brand. These laser cutter projects will have you thirsty to start making some of your own. 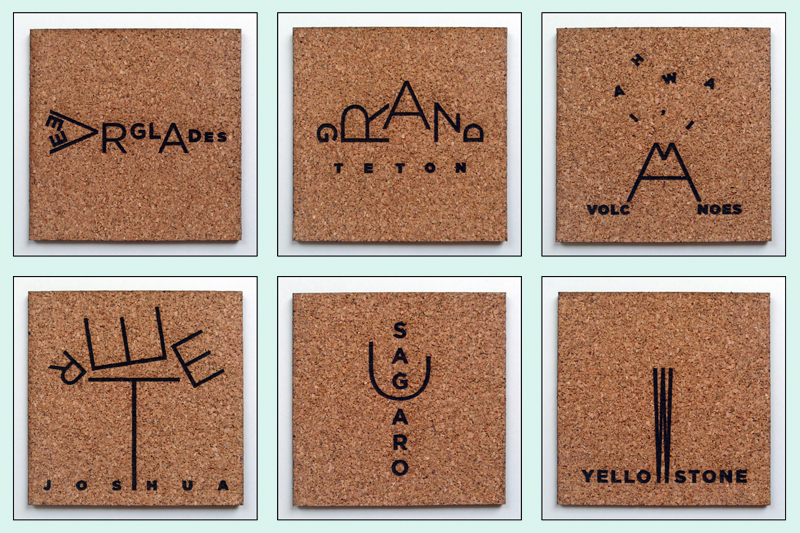 These cork coasters from Etsy seller NineDayWeekend are part of a series that features 59 U.S. National Parks like you’ve never seen: An enlightened series of pictograms, unique illustrations that depict recognizable features of each park composed entirely of the letters that spell out each park’s name. Some of the designs showcase the physical geography of the parks, while others depict the indigenous wildlife that make their homes in the parks. 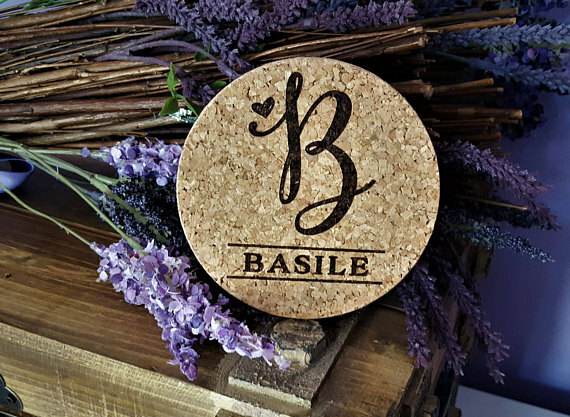 While these monogrammed cork coasters from Etsy seller Engraved Sensations make inexpensive wedding favors, you can easily envision a company name and logo laser engraved for a memorable—and useful—promotional product. 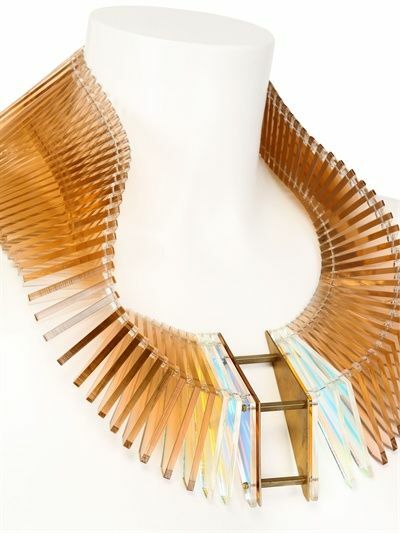 San Francisco-based designer Molly McGrath is professionally trained as an architect, and after using a laser cutter to make architectural models, she recognized the machine’s unique potential to make jewelry and housewares. 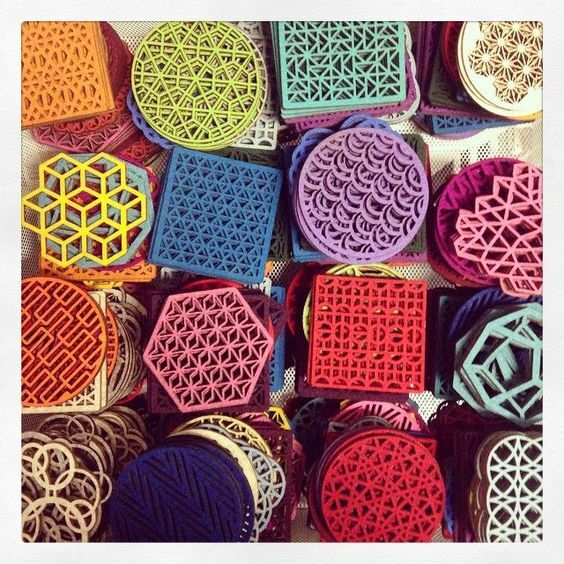 Her work, such as these colorful felt coasters, is focused on conceptual integrity, material exploration, and figuring out new ways to use laser cutters. Her approach to design is heavily influenced by her background in architecture—a synthesis of concept, form, material, details, connections and use. 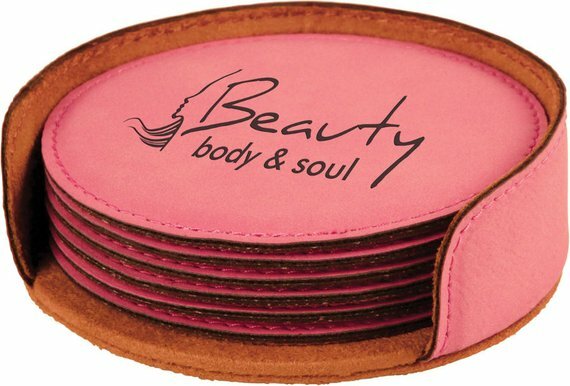 You don’t have to be a mastermind to know that coasters keep surfaces safe from scratches and sweat. 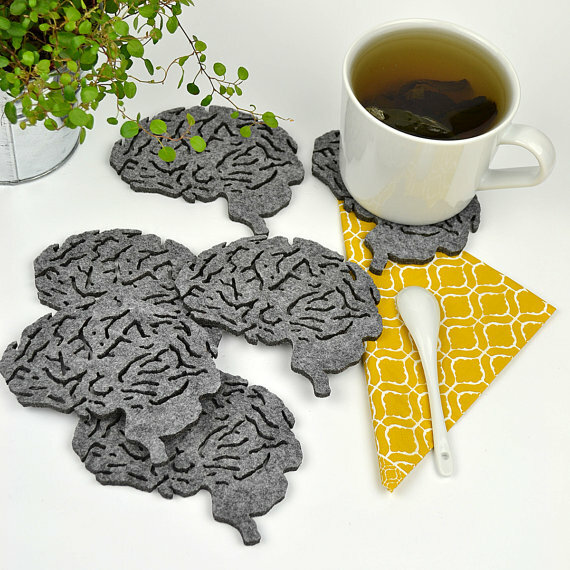 These brain-shaped coasters from Etsy seller FeltLabel prove that laser cutting works beautifully on organic shapes, too. What’s your sign? 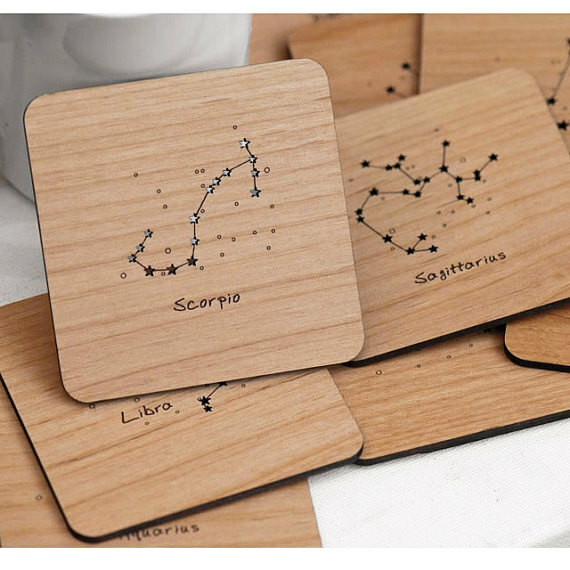 These zodiac coasters from Etsy seller StylineDesigns combine laser cutting and engraving to whimsically illustrate the night sky—and add flair to your table. Made from 6mm thick walnut (shown) or oak veneered board, Etsy seller Jessica6Designs hand finishes and treats each laser cut design to withstand spills and drips. 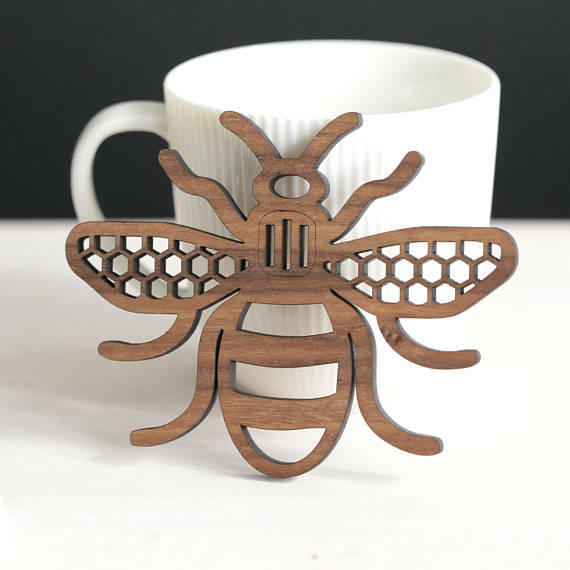 In addition to being a coaster, this charming little bee can also be hung to create contemporary wall art. That’s the bees knees. 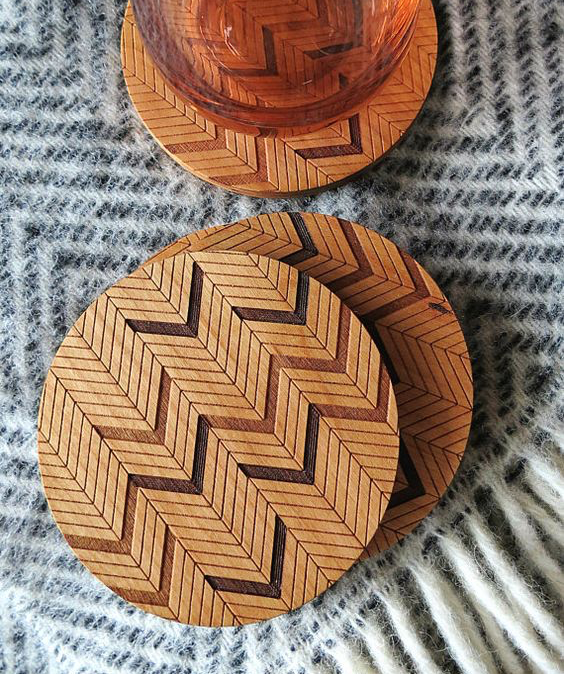 The Herringbone inspired pattern of these coasters from Etsy seller GrainDeep has been laser engraved into the surface of the wood. Combining various thicknesses of chevrons adds visual interest for a style that can be used in both traditional and contemporary décor. 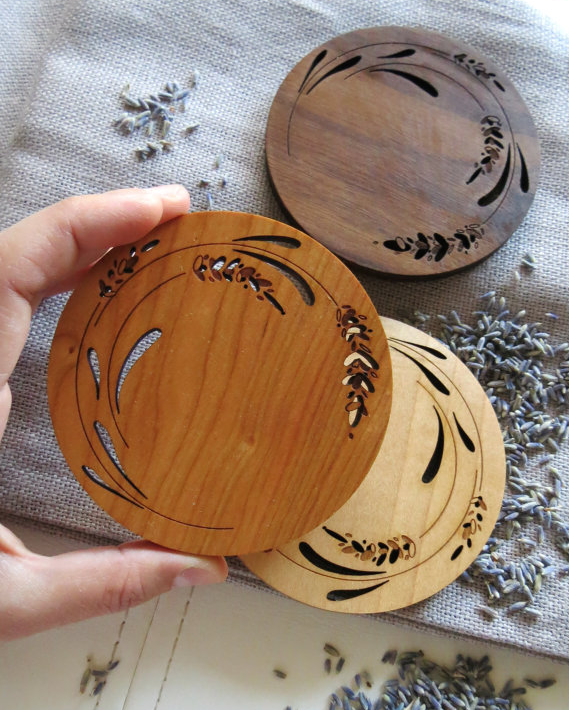 Also from Etsy seller GrainDeep, these coasters feature a lavender design perfect for cottage living. Offered in three colors—maple (lightest), cherry (medium), walnut (darkest)—a clear oil finish has been applied by hand to protect the surface. 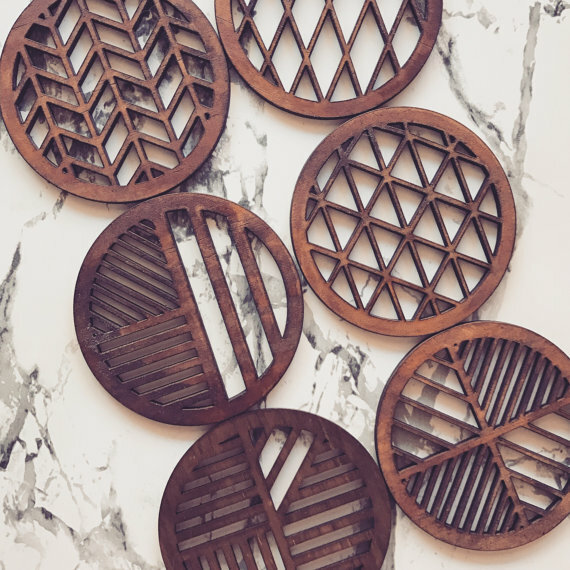 These exquisitely designed oak coasters from Etsy seller sawmillplace have a retro vibe that would be at home in both mid-century modern décor and current Scandinavian designed spaces. Add a company logo to these colorful coasters from Etsy seller LazerDesigns and you have a perfect promotional tool for getting your brand remembered. These leatherette coasters from Etsy seller Markeza have a velvety smooth feel and are laser engraved with the bride and groom’s name and the year they were married. If you’re ready to quench your thirst for after all of these laser cutter projects, be sure to implement these graphic design principles so you can laser cut your coasters with confidence. 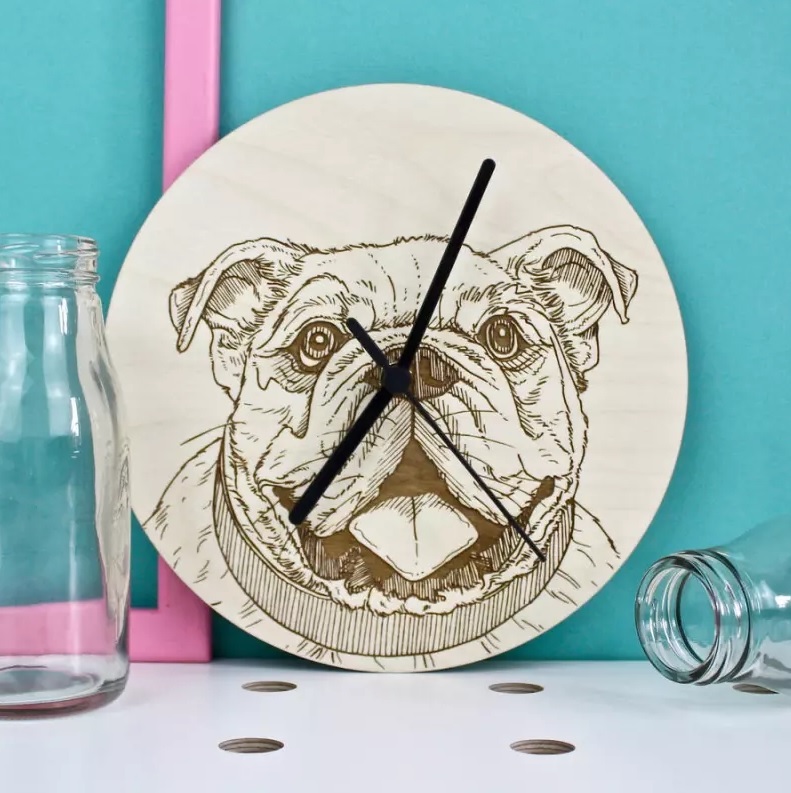 Laser cutting isn’t only for practical products such as clocks to tell the time or coasters to protect surfaces from scratches. It’s also an ideal manufacturing technique for creating one-of-a-kind artwork that’s not found in any standard store. After seeing these laser cutter projects, you won’t be able to wait to make. 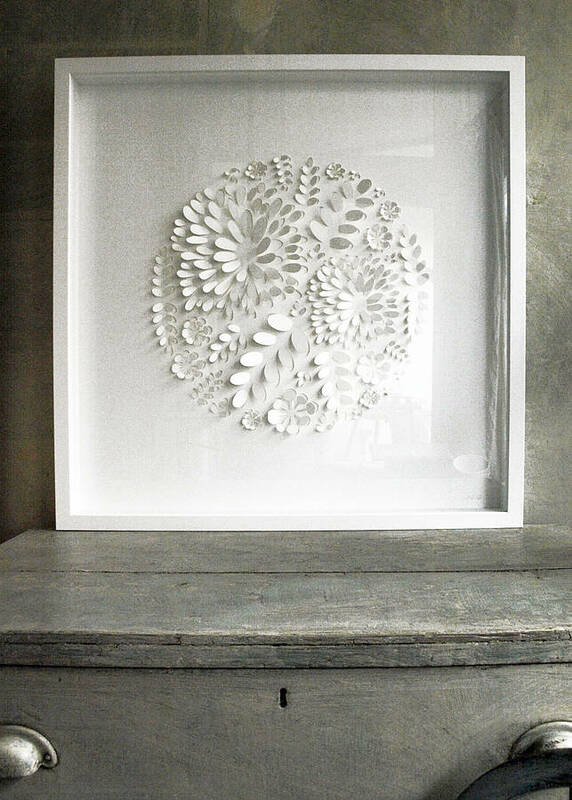 ‘‘Botanical” is a beautifully precision-cut, hand-arranged and framed piece of art by Emma Penrice and Samantha Smith of Illustries. The silhouetted organic petal shapes create abstract flowers, which are is cut from crisp 270gsm smooth white card, making it a beautifully simple pure white original piece. Politics aside, Washington D.C. is a pretty exciting place. 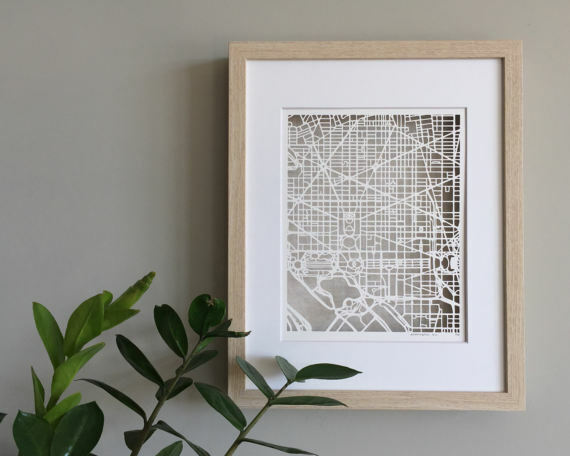 Using the city streets as inspiration, Etsy seller MoniqueHarby turned a simple map into a laser cut work of art. 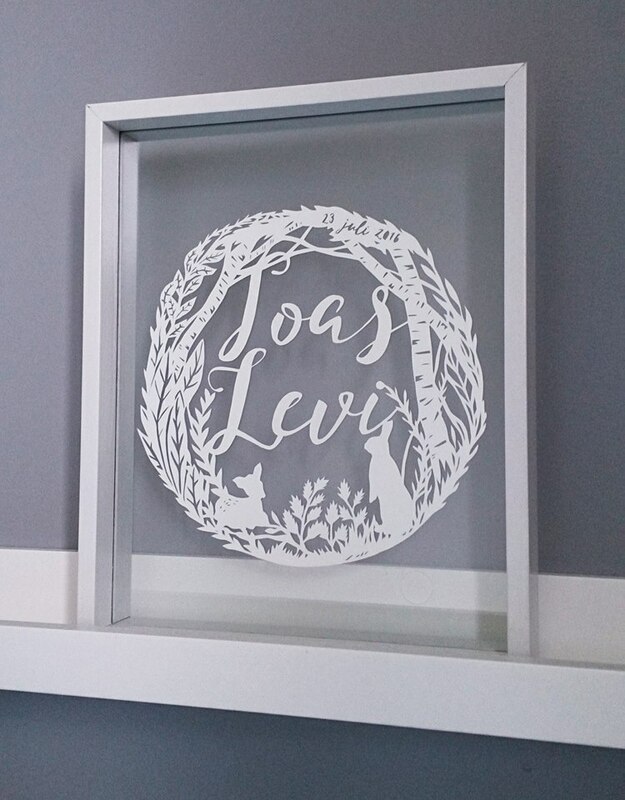 Artist Monique van Uden puts her illustration and design talents to work merging nature with typography to create this baby gift celebrating the birth of Joas Levi. 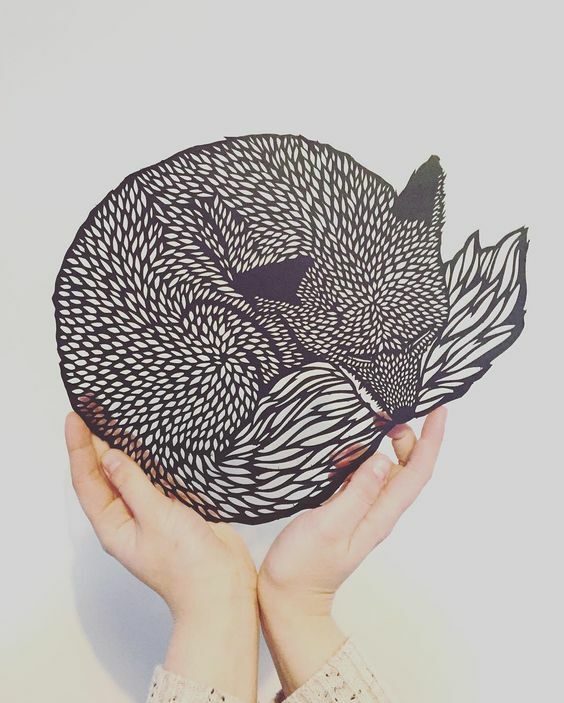 See more of her papercuts in her portfolio here. 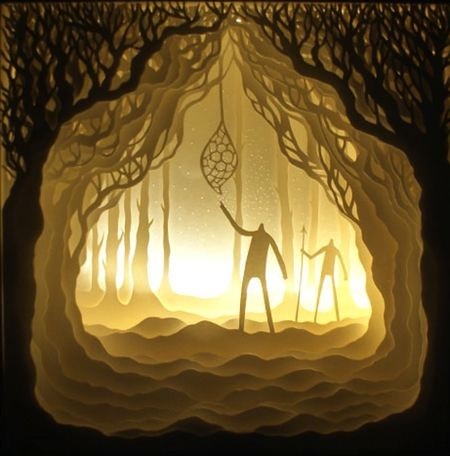 Artists Harikrishnan Panicker and Deepti Nair create intricately cut paper shadow boxes that are illuminated with battery-powered lights to showcase all the details. When photographed in darkness, their scenes take on a deep, theatrical feeling. Take a glimpse inside their thought-provoking work here. Who doesn’t love woodland creatures? This sleeping fox from creative duo (and couple) illustrator Kate Costin and graphic designer James Webber would look great in a child’s room or equally at home in a mountain cabin. Check out all the duo has to offer at Fox & The Bear. 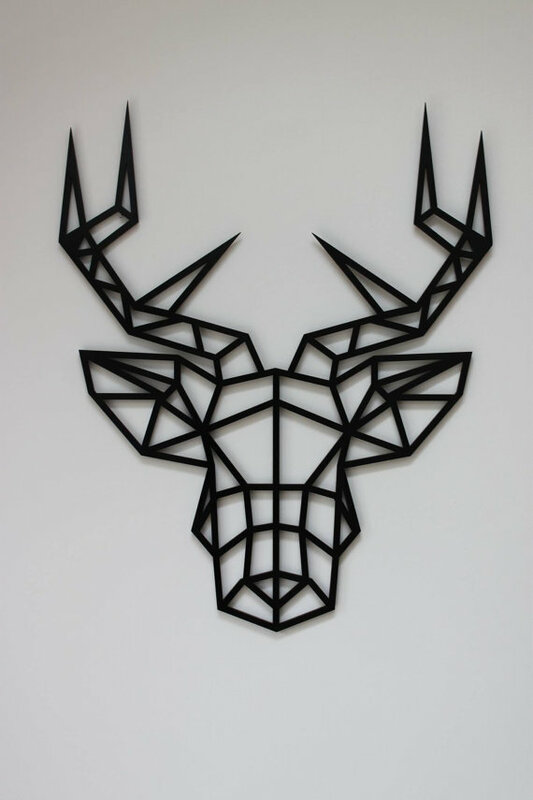 Speaking of woodland creatures, this stately stag from Etsy seller KreativDesignCo has a contemporary Scandinavian style illustrated by a combination of geometric shapes. Matte black acrylic gives it a modern and sleek look, but you can warm it up by choosing the wood option. Laser cutting doesn’t have to be overly complicated to be stylish and effective. 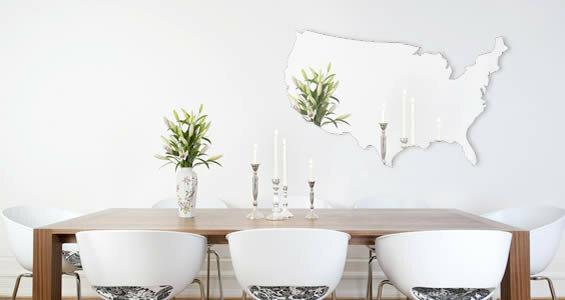 This wall mirror in the shape of the continental U.S. from Etsy seller Dezignwithaz brings a bit of patriotism to any décor. Made of 1/8” thick silver acrylic resin, this premium product delivers a comparable reflection to a standard glass mirror and is un-foggy and clear. 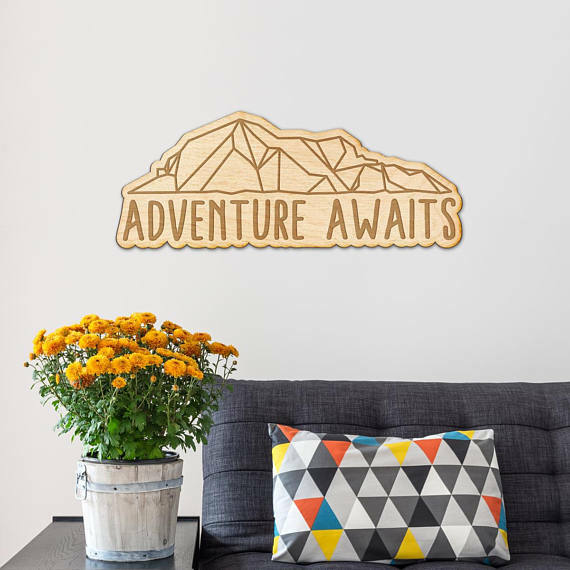 If the mountains are calling, celebrate the awaiting adventure with wall art from Etsy seller Woodums. Cut from 1/4″ Baltic Birchwood, this custom laser engraved wood sign features a geometric mountain and the phrase “Adventure Awaits.” Laser engraving allows for unparalleled depth when compared to printing, making this sign the perfect décor piece for entryways, offices or rooms or any kind. 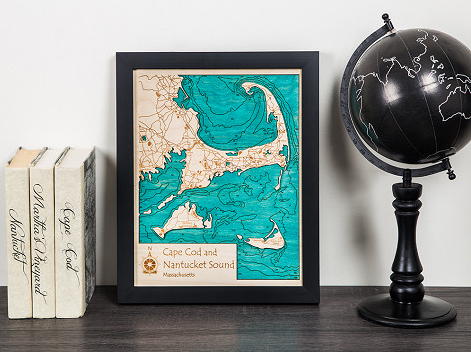 The perfect keepsake for decorating homes, cabins or cottages, Lake Art wooden wall maps feature intricate details including shorelines, two colors and up to eight depth dimensions. The laser cut maps also depict surrounding towns and major roads giving each of the available 4,000 lakes a sense of place and belonging. Who would’ve thought bathymetry (the study of the depths and shapes of underwater terrain) could be so beautiful. Potato Press, a creative design and custom manufacturing company, designed and installed this mosaic screen using a rail system with stainless steel wires and clamps to hold the panels in place. Since they intend to change the image every few months, the rail system gives flexibility to switch the size and the amount of panels used. 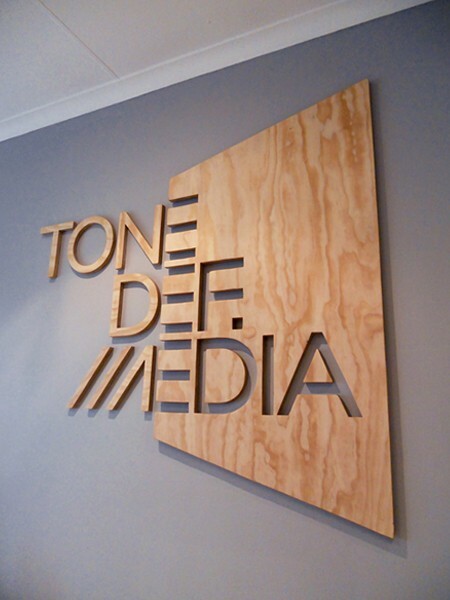 While a tree was laser cut from 3mm MDF for this particular installation, you can see how this application is also suited to corporate branding with the use of logos or typography. Learn more about how they did it here. Freelance illustrator and graphic artist Martin Tomsky creates entire illustrated scenes, including particularly stunning fantasy worlds, from the art of laser cutting wood. 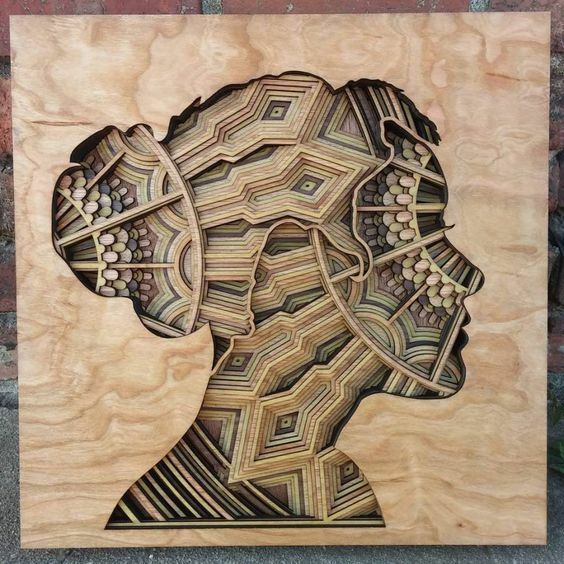 By building up layers of laser cut stained plywood, he creates intricate relief pieces that bridge the gap between craft, illustration and sculpture. These works are essentially drawings that have been brought off the page and into the real world as a permanent form of storytelling. Read more about his work here and see what pieces he’s selling (everything from tiny pendants and brooches of small animals to large intricately layered sculptural works) in his Etsy shop. Artist Gabriel Schama creates incredibly intricate, densely layered wood relief sculptures using thin, laser cut pieces of mahogany plywood. He starts with a vector illustration that is sent to a laser cutter. Lasers carve these designs into 1/8-inch sheets of plywood, which are then glued together and varnished. The result is a magnificently textured, mandala-like work of art comprised of ornate layers that twist, overlap and intersect spectacularly. Read more about his work at My Modern Met. Gabriel Schama’s work is so incredible that we had to include a second piece for inspiration. Thanks to a wildly successful Kickstarter campaign, he was able to raise the necessary funds to purchase his laser cutter, fondly nicknamed “Elsie.” Check out his website for even more amazing projects that Gabriel and Elsie have made together. 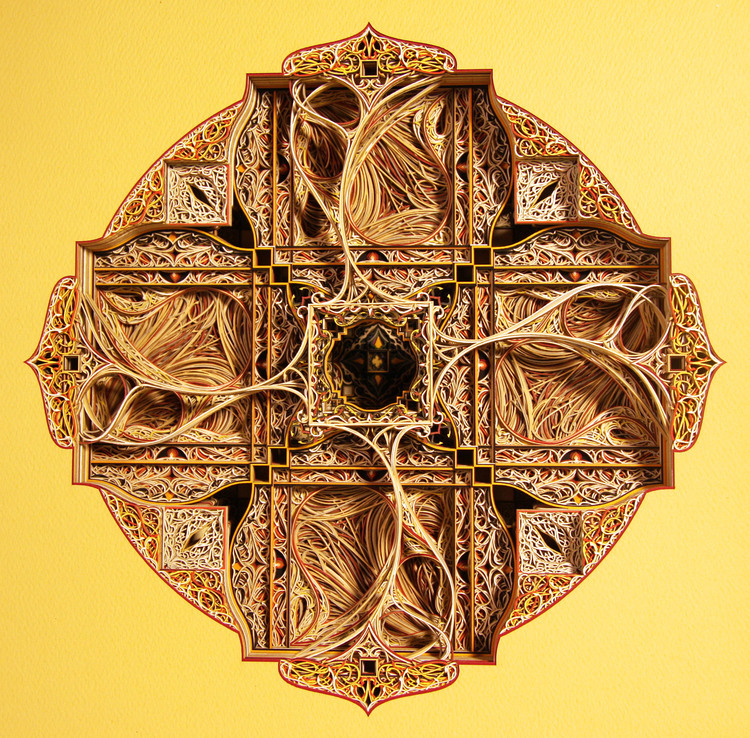 Eric Standley, an Associate Professor of Studio Art for the School of Visual Arts at Virginia Tech, builds complex paper-cut artifacts using vector-based software and CNC lasers. Each layer is cut into paper with a CNC laser, then stacked into the completed artwork. The layers are conceived as “events” in the vein of key-framing to create a consciously woven space. Because of Eric’s labor-intensive process, his works take months and sometimes years to create. His compositions are determined by removing material from each sheet of paper, and pre-visualizing the sum of the layers as line, color and space. He does not use processing or algorithm-generated elements but instead draws each line with a conscious effort toward a holistic goal. Eric’s technology-infused studio practice enables him to create complex artifacts within a realm of precision of that is often reserved for industry, mass production and scientific research. Learn more here. 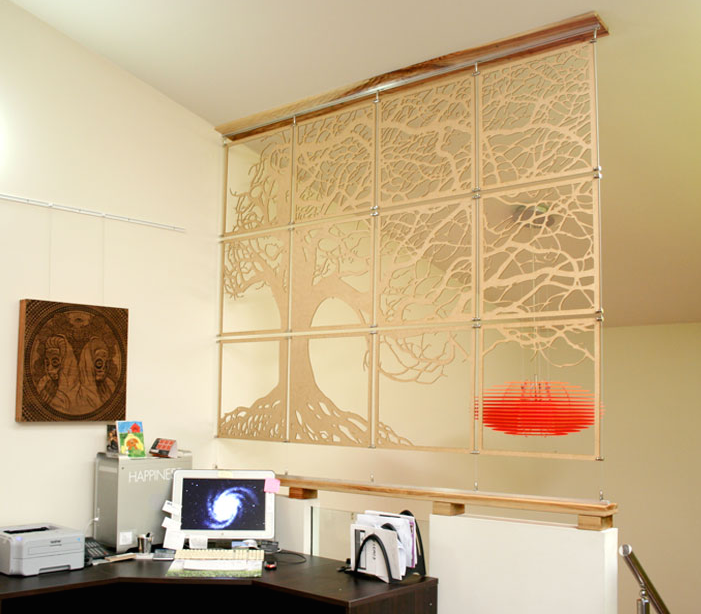 Feeling artistic after seeing the creativity in these laser cutter projects? This post will walk you through all the steps necessary to create a product that sells. 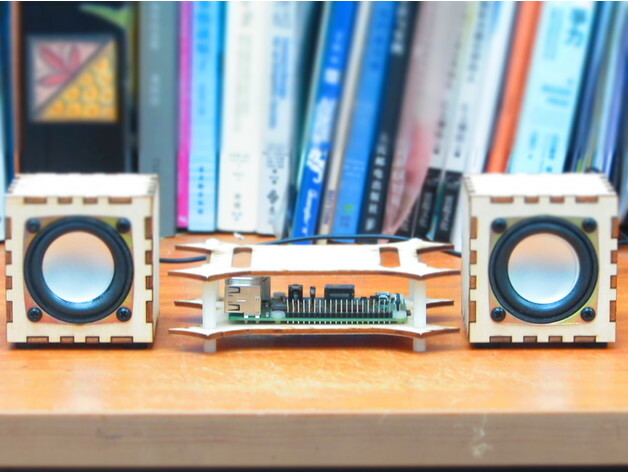 What’s one of the top laser cutter projects made by Ponoko? If you guessed jewelry, you’re right. From earrings, necklaces, bracelets and rings, there are so many great design ideas that it was hard to pick just a handful! Since many makers specialize in making with certain materials, we have grouped the design ideas into subsections by materials to make your browsing experience easy. So you’ll see all the wood jewelry, acrylic jewelry and so forth together. 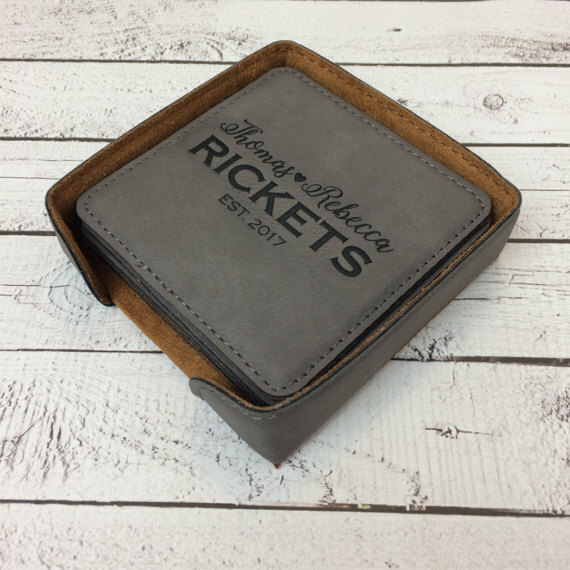 Based in Cincinnati, Ohio, Lucca Laser Workshop creates wood and paper gifts, home decor and custom-designed merchandise using all natural materials. Above is an inside look at some initial product sketches along with the final products. 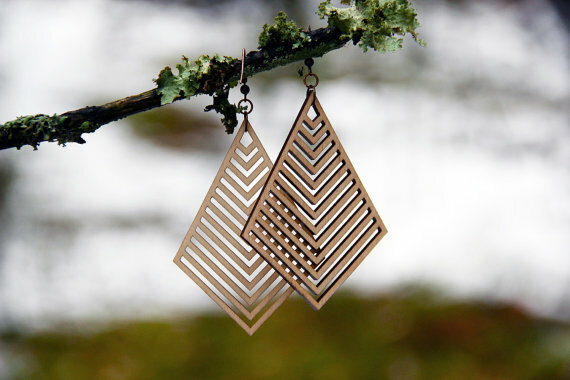 Etsy seller MoodWoodShop uses birch to create striking laser cut designs, such as these diamond chevron earrings. 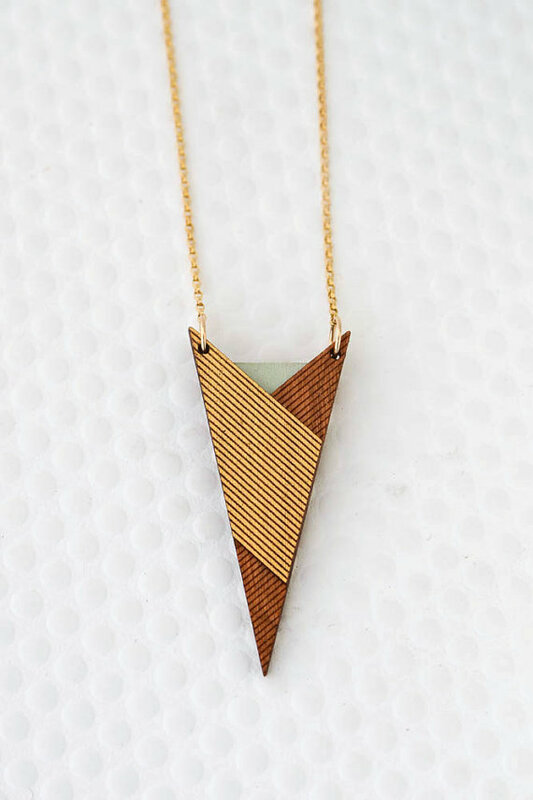 Chevrons are also a popular motif with Etsy shop CompanyKind. 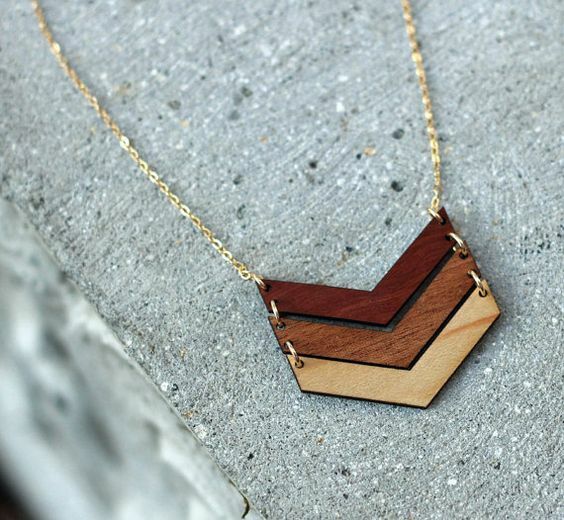 In fact, this salvaged wood ombre chevron necklace is the shop’s signature piece. CompanyKind’s founder and her husband own a cabinetry shop in the Santa Cruz mountains of California, and the work always results in an abundance of overshoots and cut-offs. She wanted to find a way to use every piece of wood possible, so the jewelry making began. Diamonds are a girl’s best friend, right? For days when you want to make a statement but the real bling is a bit much, this large wooden statement necklace from Etsy seller alysonprete has all the class without the hefty price tag. 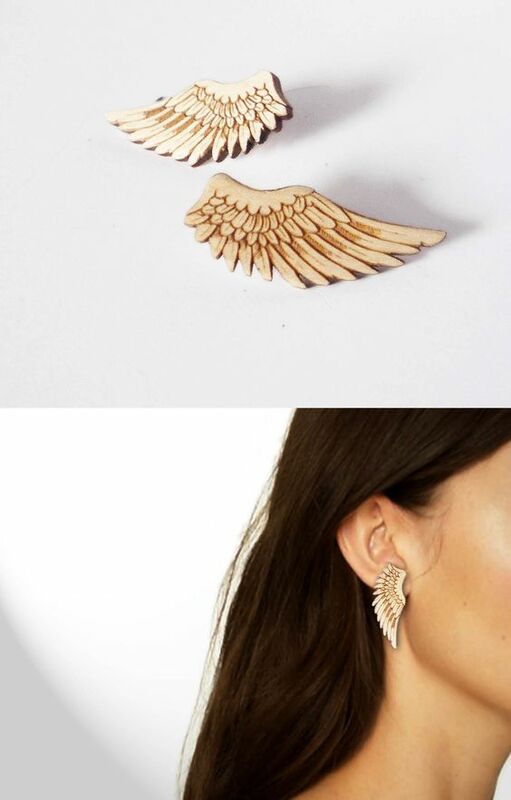 Etsy seller Vectorcloud combines laser cutting and laser engraving to create these wing earrings with realistic feather details. 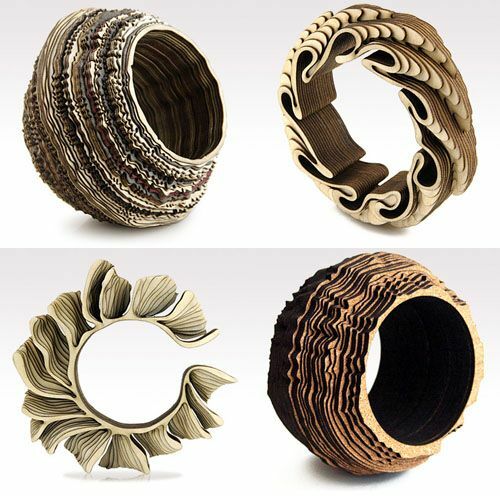 By combining 3D software and high tech laser cutting techniques, artist Anthony Roussel creates stunning layered rings and bracelets that are inspired by modern architecture and seaside coastlines. The “Ethnotize” collection by Rename is a modern interpretation of traditional ethno symbols. Well known ethnic patterns blend the traditional with the modern, and the combination of the wood base with matte black and gold details creates memorable statement pieces. 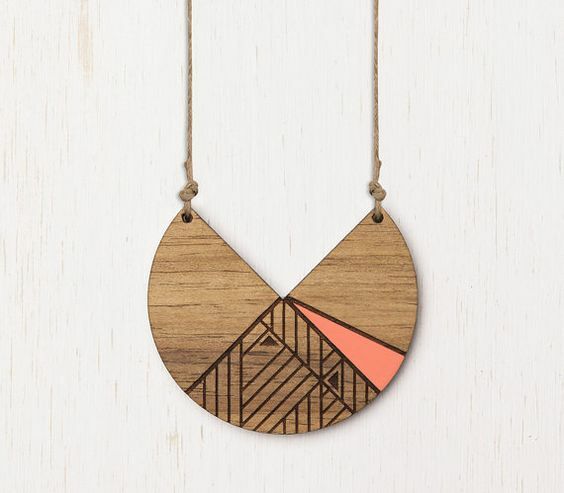 Born from a love of nature and pattern, Etsy seller adaandcedar puts an interesting twist on this moon-shaped tribal wood necklace by hand painting a peach color accent. Etsy seller ShopJoyo works at the intersection of art and technology to create clean, modern pieces that integrate graphic design with architectural influence. These drop earring take a simple rectangle shape and then brings it to life with a hand painted teal and gold geometric design. 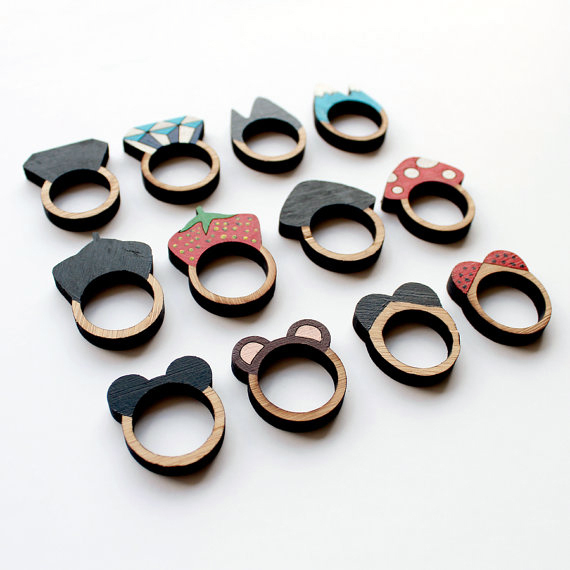 If a touch of whimsy brightens your day, these silhouette rings from Etsy seller whimsymilieu will definitely bring smiles. With diamond, mountain, bear, lady bug, mushroom and strawberry shapes, there’s a little fun for everyone. While So Little Time Co. technically designs jewelry, this husband and wife team like to refer to their brooches, necklaces and earrings as wearables. 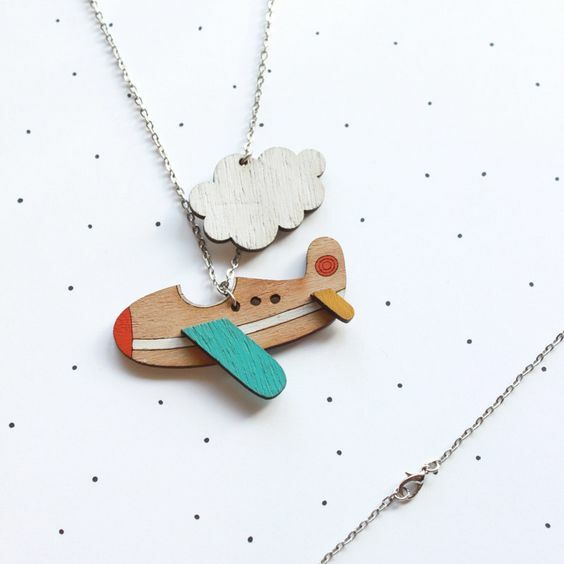 And you’ll see why with this aeroplane necklace. It’s three dimensions, multiple pieces and hand-painted finish make it as much art as jewelry. 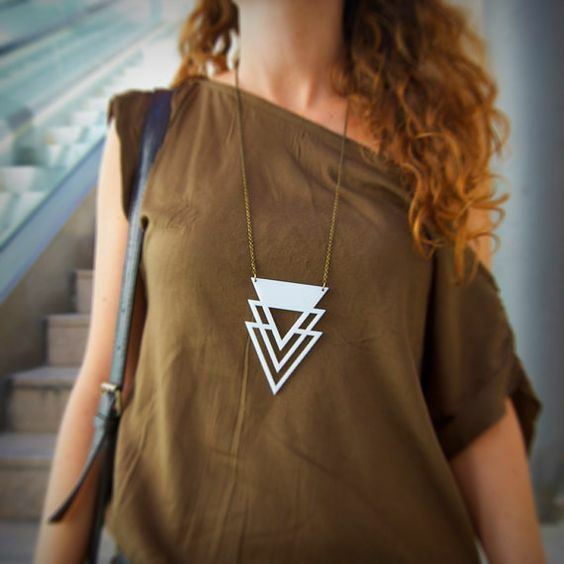 A Portuguese industrial designer that since an early age has interest in fashion design, Olga Ribeiro of Objects of O creates modern acrylic jewelry for urban trendy women—all with an irreverent twist. World renowned designer Sarah Angold combines her passion for sleek avant-garde styling with the visible structural engineering behind her intricate pieces. This signature aesthetic is seen in her collections that routinely collide hyper-modern industrial processes with meticulous hand assembly and artisanal craftsmanship, such as the stunning Kingla Necklace. 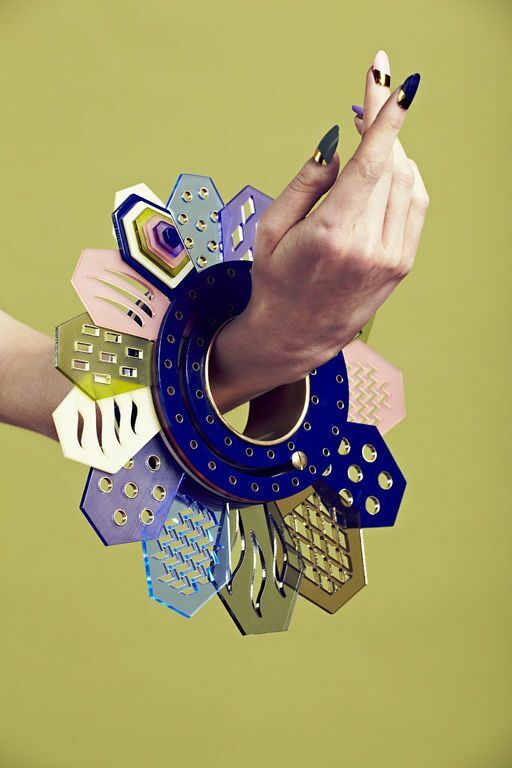 London-based designer Alexandra Druzhinin puts a new twist on custom jewelry—and it earned her the London College of Fashion Off-Catwalk award. The Transformable Runway Bracelet combines acrylic with brass, copper and silver laser cut into unique shapes and patterns. Inspired? Ready to make your own unique jewelry? Then don’t miss this jewelry making for beginners guide that shows how to make jewelry that is functionally sound, aesthetically pleasing and professional looking so that you can proudly wear it yourself, happily give it to friends or family, or confidently sell it to make a profit. But what happens when a now assembled heap of your own design is just sitting on your desk? It’s waiting for the extra-special final touch: A robust electronics enclosure to house and protect it. 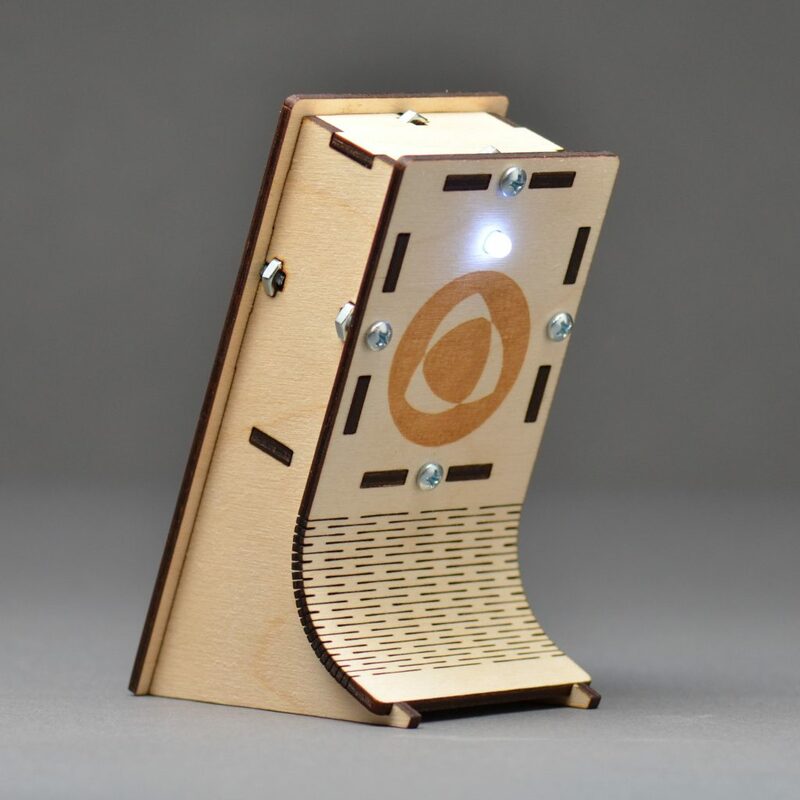 Whether you are an Arduino fan or like to build with Raspberry Pi, check out these laser cutter projects for inspiration. 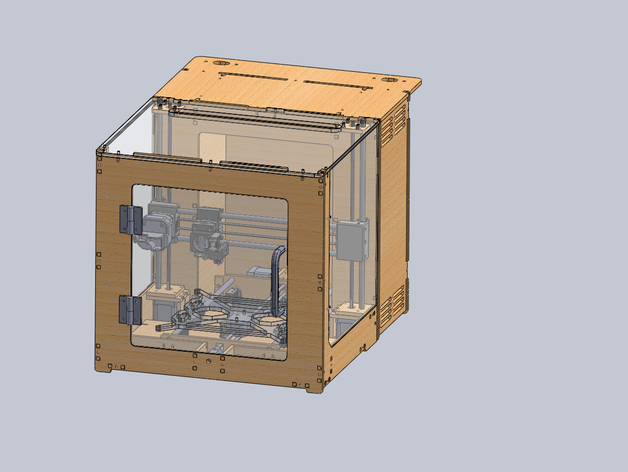 If you want to make things so you can make more things, then don’t miss this maker’s take on what he did to redesign a Prusa i3 3D printer, including a complete laser cut enclosure. What’s cool about the Prusa is that it’s a type of RepRap 3D printer, which is an open source printer you can make yourself. Fun! Robot arms. Because robots are awesome. 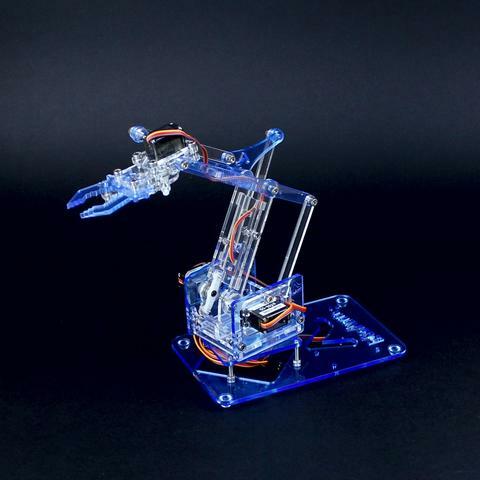 The MeArm Robot Arm was developed to be the world’s most accessible learning tool and smallest coolest robot arm. #success. It comes as a flat-pack kit that you can build with nothing but a screwdriver and enthusiasm. Count us in. Described as the “Perfect Arduino Project for Beginners,” it’s a great kit to get anyone started in the world of programming, electronics, robotics and engineering. 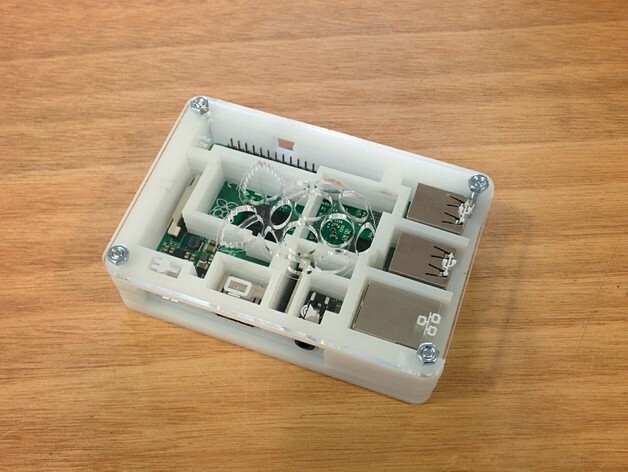 This just might be our favorite Raspberry Pi enclosure evvaahhh! The colors are so poppin’. Get the files and make your own via Thingiverse. If you love old arcade games (who doesn’t?! 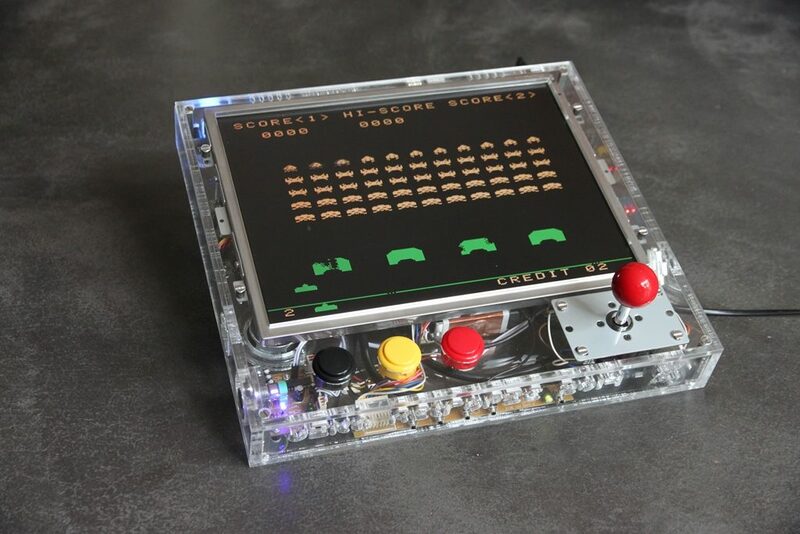 ), then don’t miss a little piece of electronics enclosures heaven with this throwback game console powered by Raspberry Pi. Follow the full maker journey on Wikimal, then go make your own. 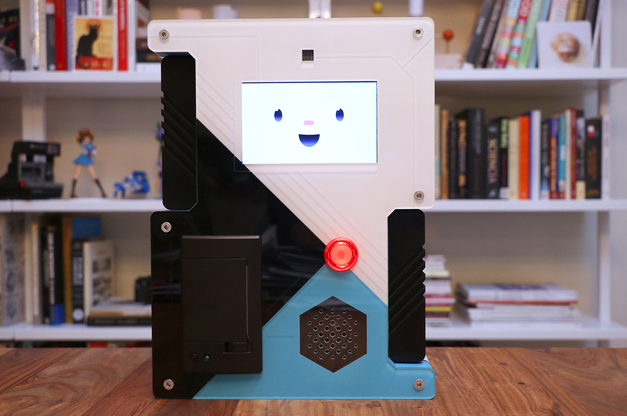 If you wanna put some fun into functional, this TJBot is your guy. Born at IBM Research, TJBot is a DIY template to learn, experiment and explore AI with IBM Watson. 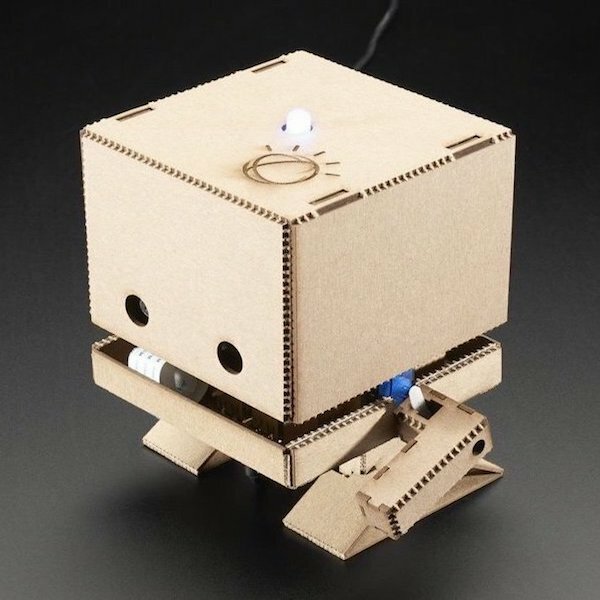 Laser cut this little dude using these plans, then use the open-source, step-by-step recipes (read: coding instructions) designed for a Raspberry PI to connect your TJBot to Watson developer services. Now the fun begins. Teach TJBot to tell a joke, carry on a conversation or even dance. We’d love to see the Macarena! Keep your Raspberry Pi in tip-top shape with this enclosure. It’s made from 3mm acrylic; use clear for the top panel to see the engraving, then choose your fave color for the sides and bottom. Wouldn’t this look cool in aqua? Or what about the new lavender swirl? Get started with the free files here. Ok techie, we know you’ve got some completed electronics projects that are just begging to be properly housed. And you must be inspired with the groovy laser cutter projects above. So what are you waiting for? Dive into this guide to making electronic project boxes and get started! Once your clients or customers have set the date and found the venue for the ceremony and reception, it’s time to start having fun with the wedding décor. Whether the wedding and reception is in a church hall, hotel banquet room, garden, park, backyard or even a barn, the decorations chosen make the event unique to the happy couple. 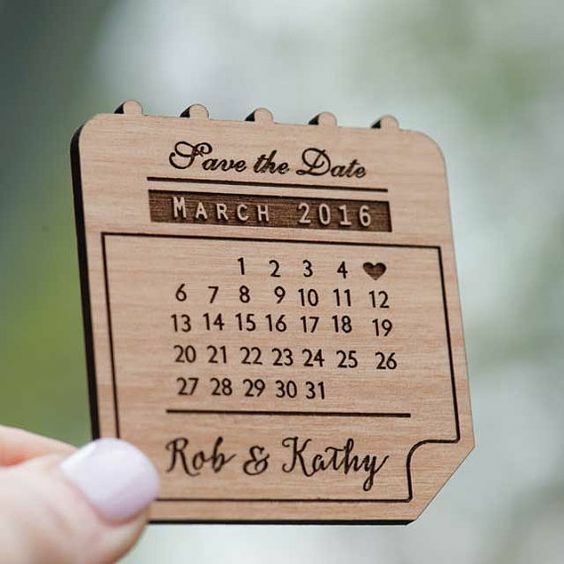 Here are eight great laser cutter projects to style that beautiful day—from the initial save-the-date announcements all the way to the reception—plus a bonus item that the bride will L.O.V.E. Everyone loves refrigerator magnets; that’s why businesses use them as promotional tools. So why not take that same principle of creating awareness + excitement and translate it to a wedding save-the-date? These magnets from Etsy seller StylineDesigns are laser cut and engraved from high quality sustainable wood. What’s great is that these save-the-dates become keepsakes after the wedding. Every time guests see the magnet on the fridge, they can remember the beauty—and fun—of the big day. When Renata and Dante were planning their wedding at Amantikir Garden in Campos do Jordão, Brazil, they chose the wedding venue not only because of its gorgeous gardens but also because it was part of their history as a couple. They also didn’t want anything exaggerated or too luxurious because it wouldn’t reflect who they are. This custom invitation incorporated the beauty of a garden setting with simplicity and sophistication. See the entire story on Junebug Weddings. These garden invitations from Stylish Wedd, an online wedding store specializing in custom wedding invitations, look like they’re straight out of a fairy tale. From ferns and flowers to butterflies and birds, the cards feature the bride and groom perfectly silhouetted under the wedding arch. 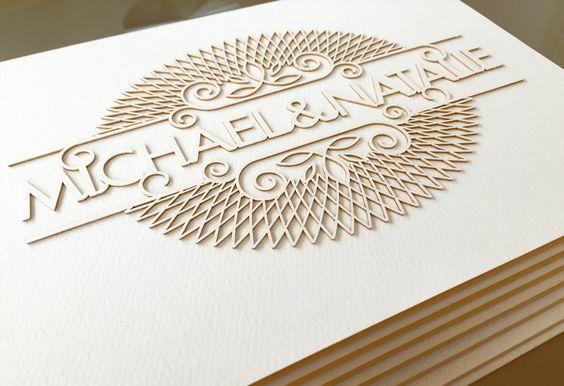 If you want to make a statement from the minute your wedding guests open the invitation, laser engrave the envelopes. These beauties from Qards are sunning. Personalize a wedding photo album or guest book—and add dimension—by designing a custom cover. This design is inspired by the softness and floral shapes of baby’s breath, but you could create anything that’s special to the couple from a city skyline of where they live to a monogram of their initials joining together. 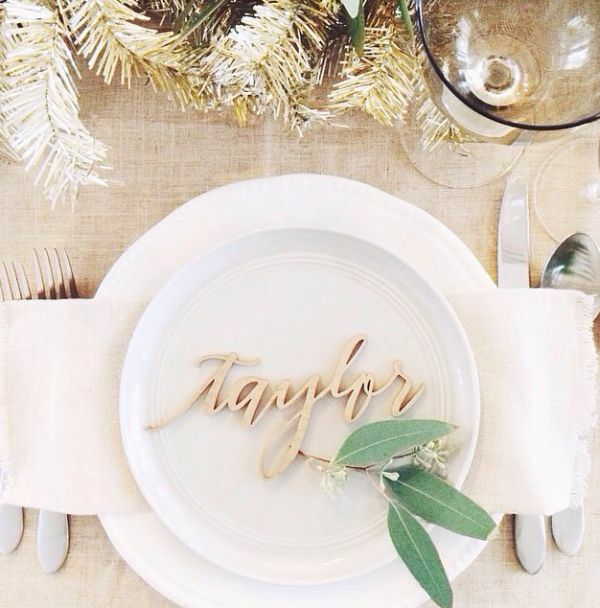 Etsy shop LettersToYou specializes in custom hand lettering and calligraphy, and these table numbers show that a computer isn’t required to create a beautiful script. These custom table signs are all hand drawn, laser cut in sturdy MDF wood and painted in gold, rose gold, silver, black or white to coordinate with a variety of wedding color schemes. 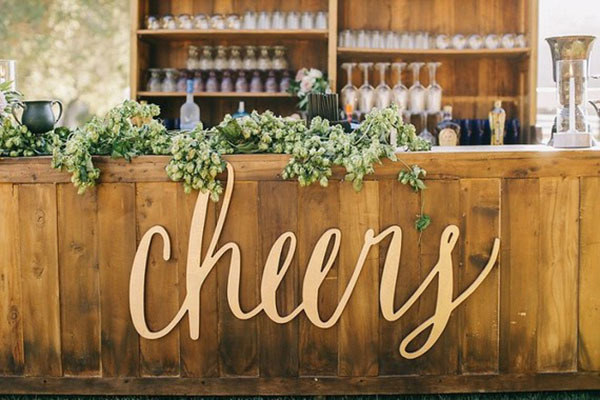 Toast the bride and groom—and, more importantly (wink), direct guests to the bar—with this massive wedding sign. We’ll drink to that. For couples with very specific reception seating assignments, these wedding place cards go far beyond the paper tents of old. These names are rendered from wood in calligrapher Laura Hooper’s lovely lettering. They lend an elegantly rustic touch to place settings and double as take-home gifts for guests. 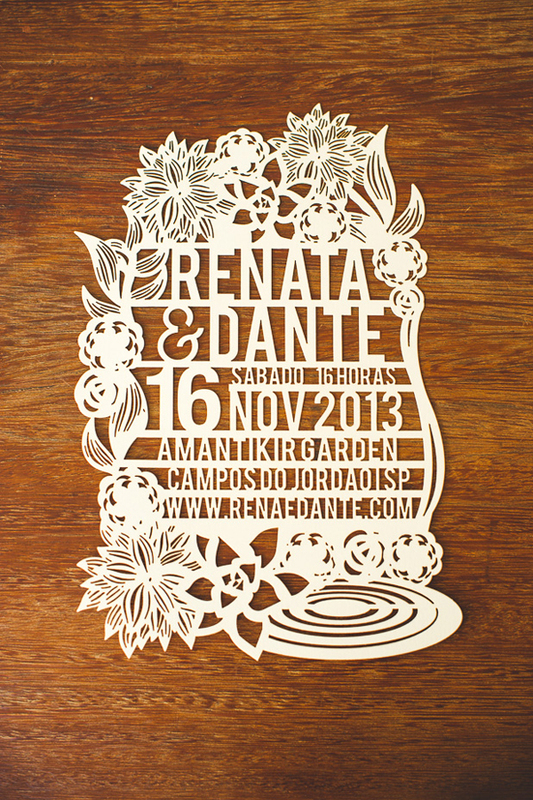 You may think laser cutting is limited to wedding decorations. Not always! 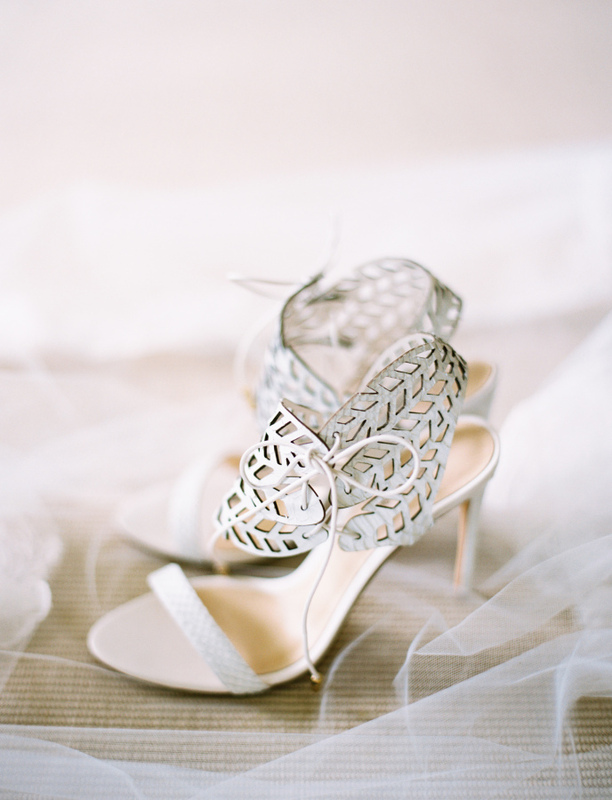 These bridal shoes put a twist on the traditional sling back with a custom ankle wrap. These are so pretty we’d find a way to wear these again after the ceremony! Today’s couples don’t want cookie cutter ceremonies or receptions. They want decorations that are tailored to their unique personalities and tastes. There is much opportunity for makers to sell their laser cutter projects in this space. So if you’re ready to say “I Do!” to making wedding decorations, check out this guide to styling a beautiful day so you can plan like a pro. While most of the custom bookmarks on the market are made from wood or leather, that doesn’t mean other materials couldn’t be used. (Sounds like an opportunity to us!) At any rate, after seeing these design ideas, you may need to buy more books! These charming bookmarks from Australian designer/seller Little Card Boutique prove that the right simple design can make a big impact. 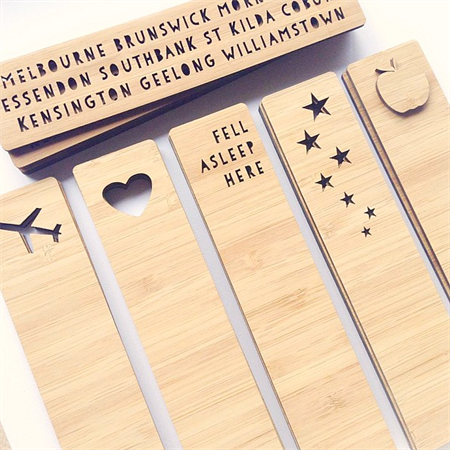 Offered in six fab designs—Melbourne, plane, heart, fell asleep here, stars and apple—these page holders make great teacher gifts. And since they easily fit in an envelope and can be personalized with additional text, you could use them as promotional products or direct mail pieces. Designer Jane Blease has a completely different take on wooden bookmarks: She hand-embroiders them! 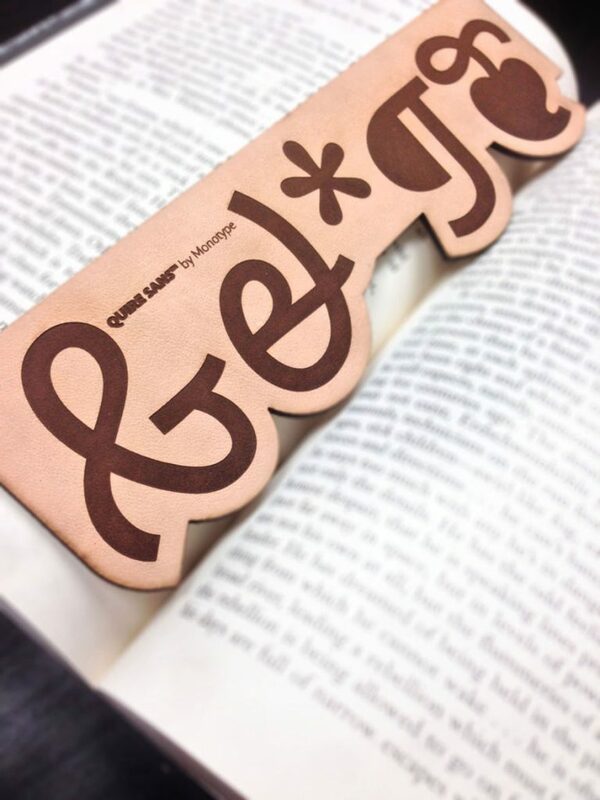 First, she laser cuts the bookmarks in three classic wood veneers (walnut, oak or ash). Then she embroiders spiral, hexagon or heart shapes in an array of gorgeous colors. Finally, she backs the bookmarks with matching soft felt to protect the books. Clever and pretty! In addition to its retail store, Lucca Workshop also sells worldwide via its Etsy shop where we found this adorable set of four zoo animals bookmarks. 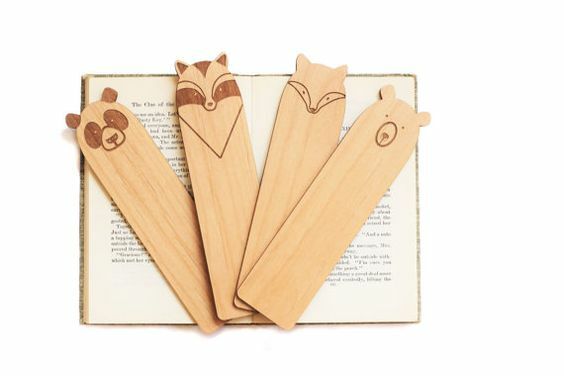 The panda, raccoon, fox and bear bookmarks are perfect for kids and those young at heart! One of the great things about laser cut products is the precise, consistent cutting of fine details. 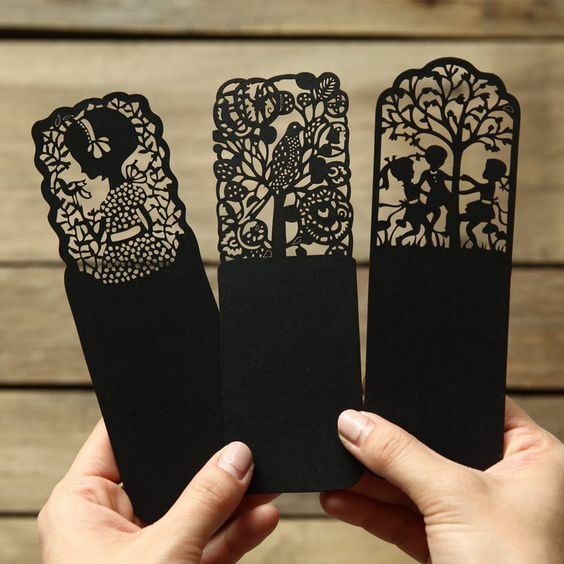 The intricate design of these wood bookmarks look like the imagery came right out of a fairy tale. 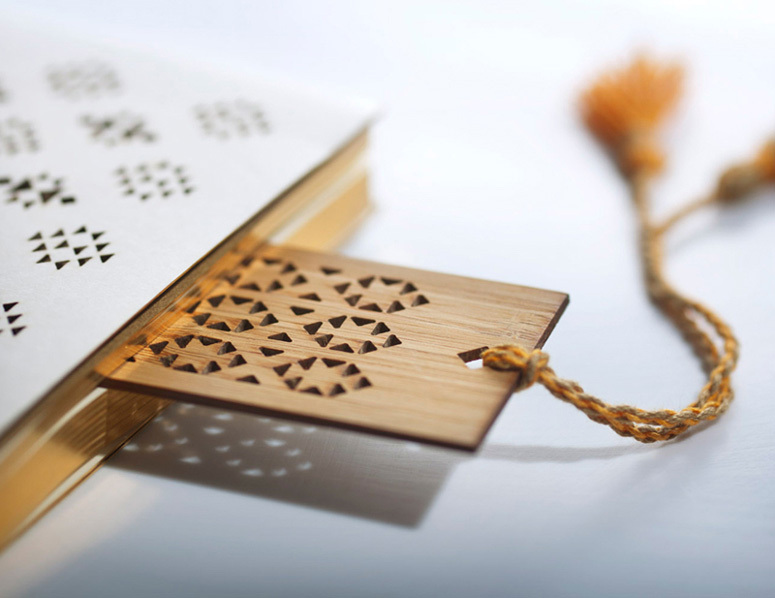 Designed by Spanish Mayúscula Brands for the Kuwaiti company Zeri Crafts, the geometric forms on the bookmark are inspired by Al Sadu Bedouin tribal rug weaving patterns. These shapes create a play of light and shadow much like mashrabiyas, the latticework typical of Arabic architecture that is often seen in windows. 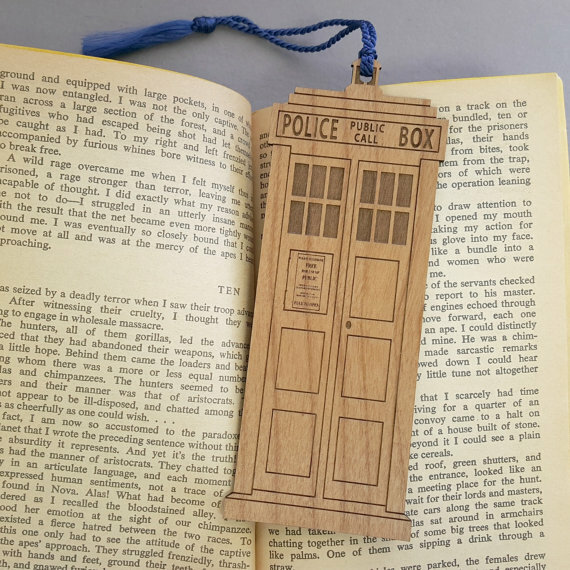 For fans of Doctor Who, this TARDIS inspired bookmark from VectorEngraving is a must-have page keeper for any time-travelling adventurer. 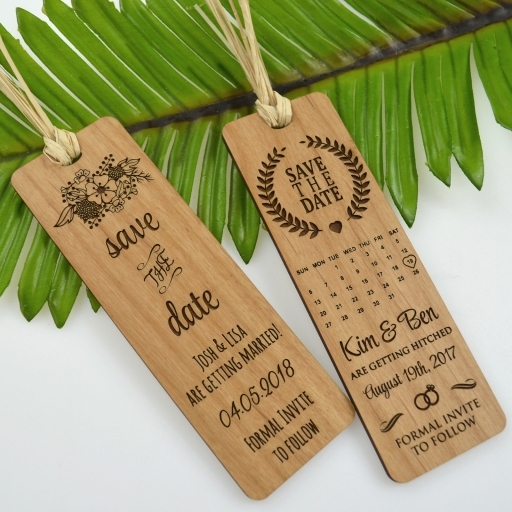 For couples who want to create wedding keepsakes from the very first engagement announcement, look no further than save-the-date bookmarks. These bookmarks come complete with a raffia tie to finish out the natural look. But this kind of bookmark doesn’t only have to be for weddings. You could also create them for milestone birthday or anniversary celebrations as a take-home gift for guests. You could even design bookmarks to use as birth announcements when a child is born and include the baby’s name, birth date, location, weight and length. 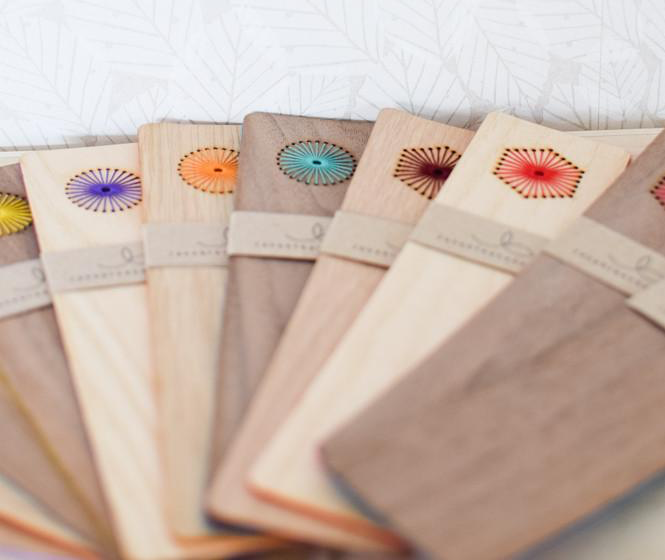 While the natural color of wood is nice, these bookmarks from Etsy seller LasercraftWorkshop have a welcome pop of color. 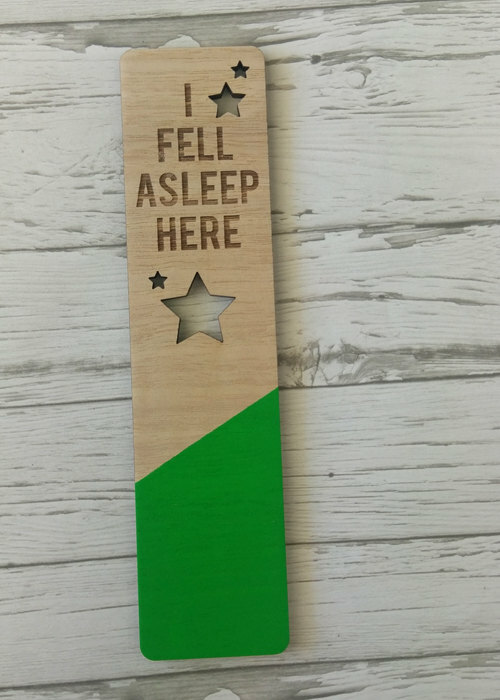 And we love the engraved “I Fell Asleep Here” text combined with the laser cut nighttime stars as a companion to any bedtime story. 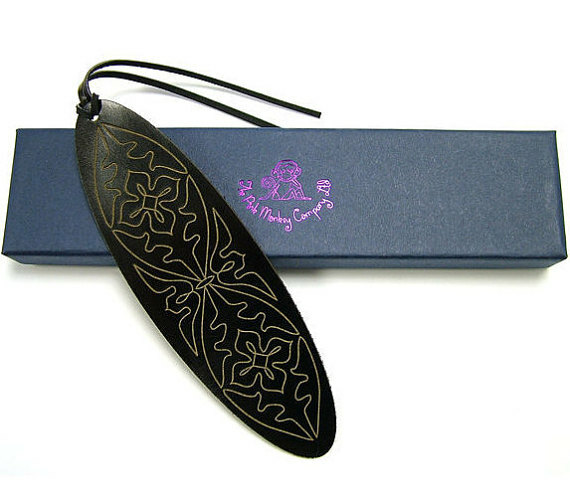 This engraved leather bookmark from Etsy seller ThePinkMonkeyCompany has a classic oval shape and a medieval tudor rose inspired pattern. It’s offered in two sizes and eight colors: Black, blue, chestnut brown, chocolate, conker brown, dark bottle green, plum and red. Pair it with a leather-bound classic for the perfect gift. Ready to embark on your bookmark making journey? It will be a trip! With all the bookmark designs available, where do you begin? 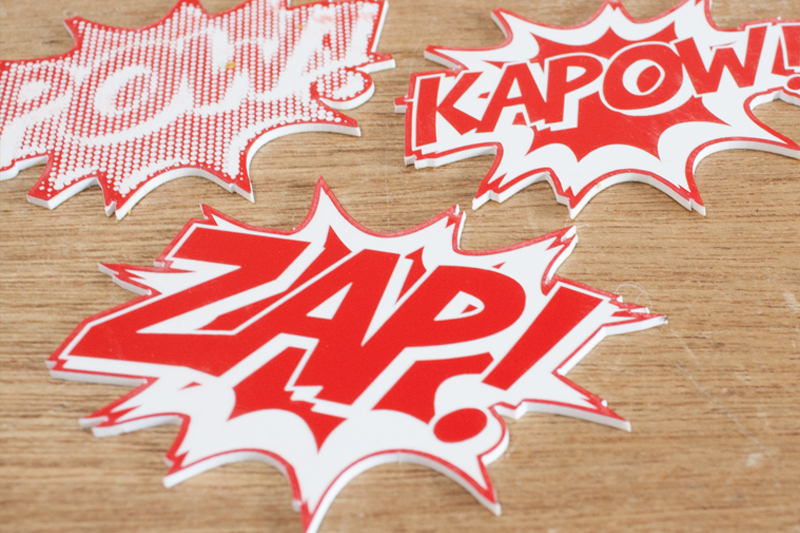 A good brainstorming session is a great place to start along with this guide to making bookmarks that will help put your creativity and personal touch into these popular laser cutter projects. What’s your sign? No, we’re not talking about the stellar arrangements when you were born. Rather, how do you communicate information to customers, friends or family using words or art? Whether welcoming invitations, stark warnings of impending danger or shining neon beacons of comfort and relaxation, signs guide our world. There are many ways to attract eyeballs from a distance, and here’s a selection of laser cutter projects that we found particularly eye-catching in both wood and acrylic. 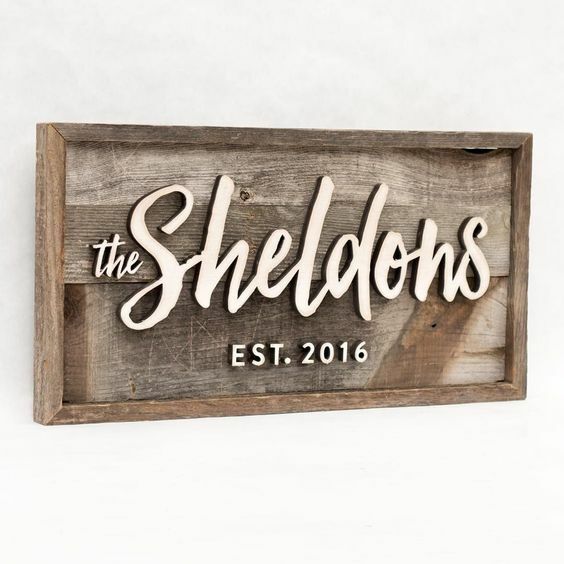 Established by graphic designers Andrew and Marija Van Rensburg, Tigermouse Design specializes in various bespoke wooden handcrafted pieces ranging from lettering to furniture. 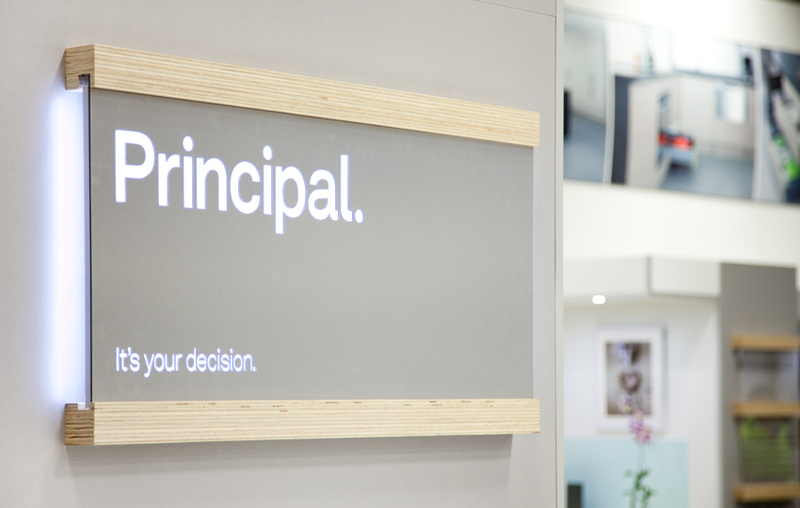 In this office sign, they play with negative space to create a unique effect. By combining laser cut wooden lettering with reclaimed wood backing and frame, you can create that warm, rustic vibe. This Harper Grayce sign was designed as a wedding gift for a newly married couple. But you can use this same idea with baby names, favorite quotes or Bible verses. 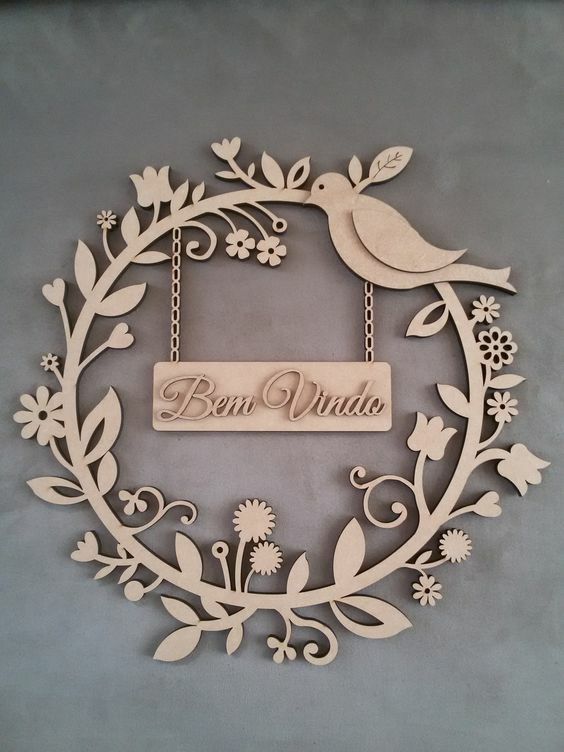 In Portuguese, Bem Vindo means “welcome.” The laser cut floral design and peaceful dove on this welcome wreath will immediately make guests feel at home. 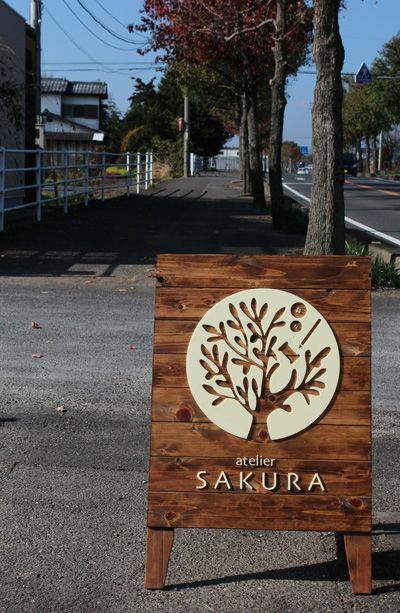 The laser cut logo for Sakura, a Japanese-based support center for people with intellectual, physical and mental disabilities, encompasses some of the services the facility offers—from gardening to sewing and textile making. Attaching the logo to a free-standing, sandwich-board base allows the sign to easily be moved for changing signage needs. And the warm walnut stain on the base creates a nice contrast with the logo as well as an overall inviting aesthetic. Award-winning industrial designer Joan Lao’s artistic concepts stem from nature and the constant pursuit of the beauty in simplicity without artificial elements. This office signage design reflects his vision where each of the design’s elements comprise the ideal organic space, creating atmospheres where everything is integrated. While bathroom signs must be clear to avoid any embarrassing encounters, why not have a little fun with them. 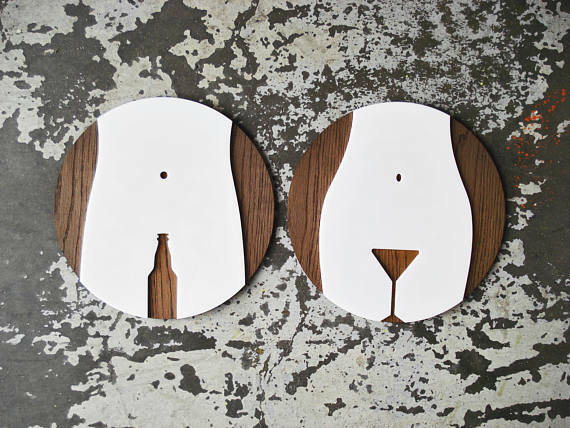 Designed for a restaurant or bar, these bathroom signs from Etsy shop grayskunk use negative space—and some cleverly placed beverage vessels—to designate the men’s room from the ladies’ room. 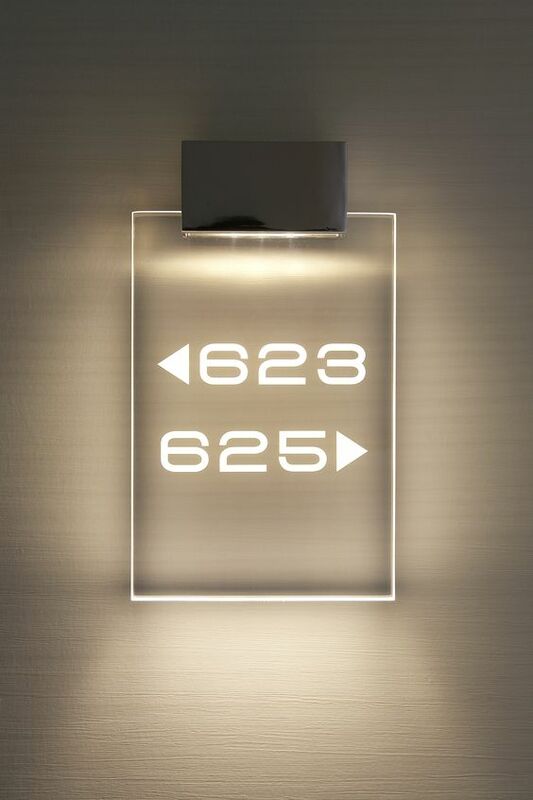 This directional room sign for the Crete, Greece-based Galaxy Hotel captures the hotel’s essence of where traditional meets contemporary and where sophistication greets functionality. The clear acrylic is edge lit, which allows the light to diffuse over the surface and catch on the engraved sections, making the numbers appear bright. Here’s another example of an edge lit sign, but this one has a wooden frame along the top and bottom edge to further focus the light to the engraved words for high visibility. 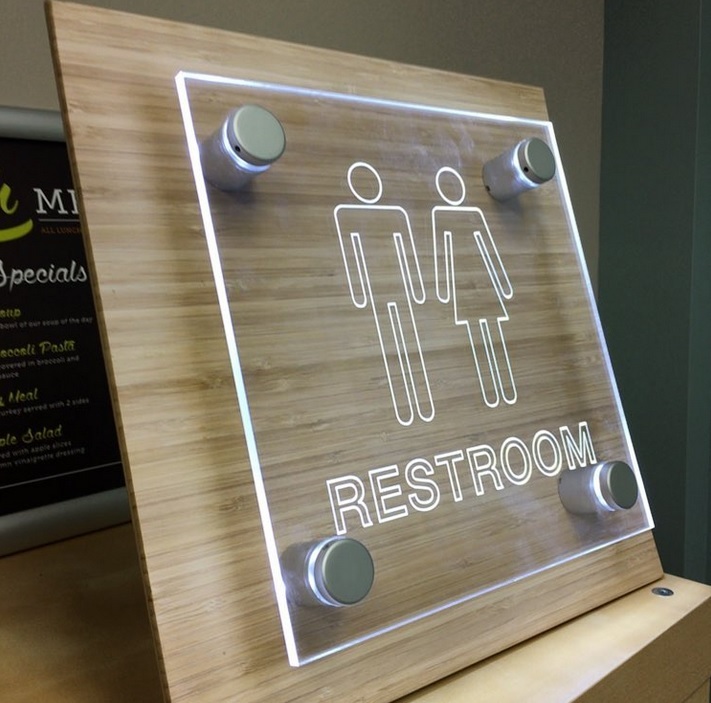 This restroom sign combines a bamboo base with a clear acrylic face that is mounted on brushed silver “standoffs” containing LED lights for illumination. 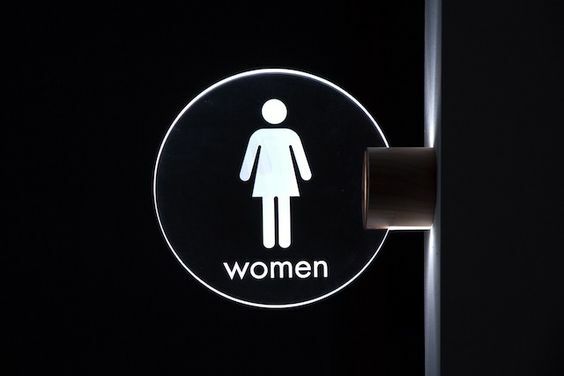 Masahiro Minami, assistant professor of the University of Shiga Prefecture Department of Living Design, designed these simple yet effective restroom signs. Not only is the round shape eye catching, but mounting them perpendicular to the wall and adding built in LED lighting also makes them very visible in the new school building in which they’re installed. 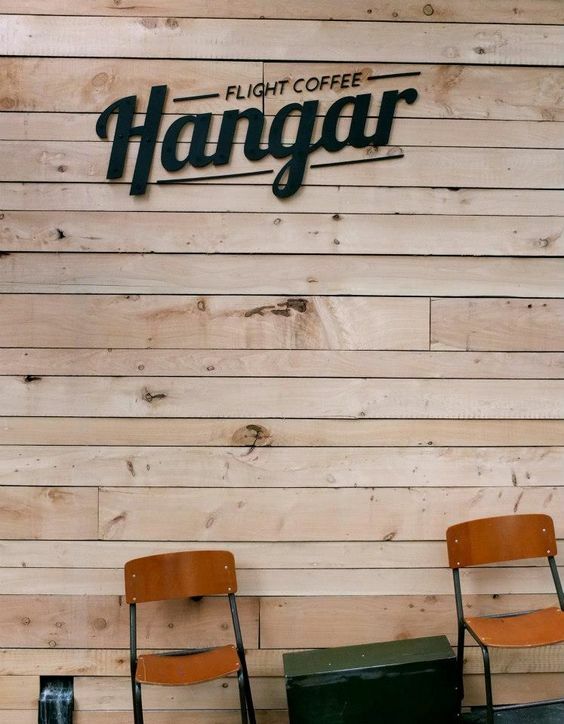 This laser cut exterior signage, designed by Jack Candlish for a Wellington, New Zealand coffee shop, was installed on macrocarpa slats. The result is an appealing contrast between the crisp black lettering and the warmth of the wooden background. There are so many good things happening graphically with this black acrylic wall sign. First, the use of negative space for the lettering is interesting. The typography has an ease and flow to it, and the lower case letters give it a casualness while still having strength. 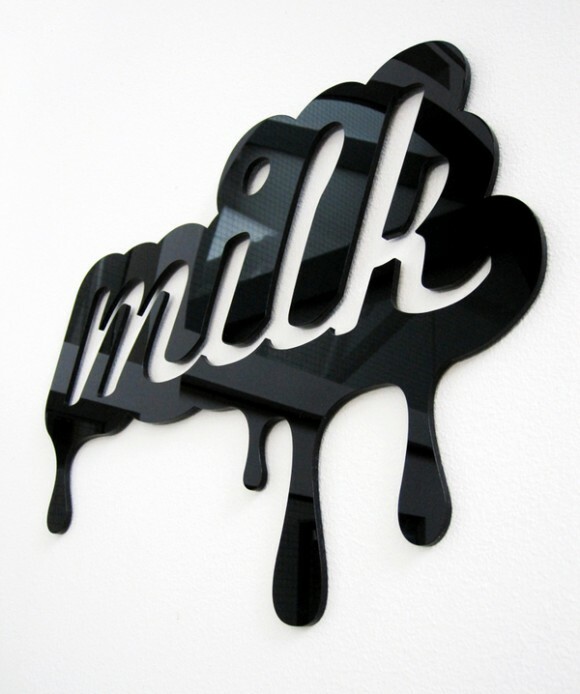 Finally, the overall dripping shape demonstrates originality and brings this sign to life. If any of these signs spoke to you and you’re ready to make some of your own laser cutter projects, check out this how-to guide for making signs that includes all you need to know about the tools and materials necessary for building and making signs for the most common occasions. Why is clear acrylic a top choice of makers? Because of how well it reacts to laser cutting. The surface of this thermoplastic engraves with a nice frosty finish that catches light wonderfully, and the edges melt smoothly rather than burning like wooden materials. It’s also a staple material choice because of its versatility. 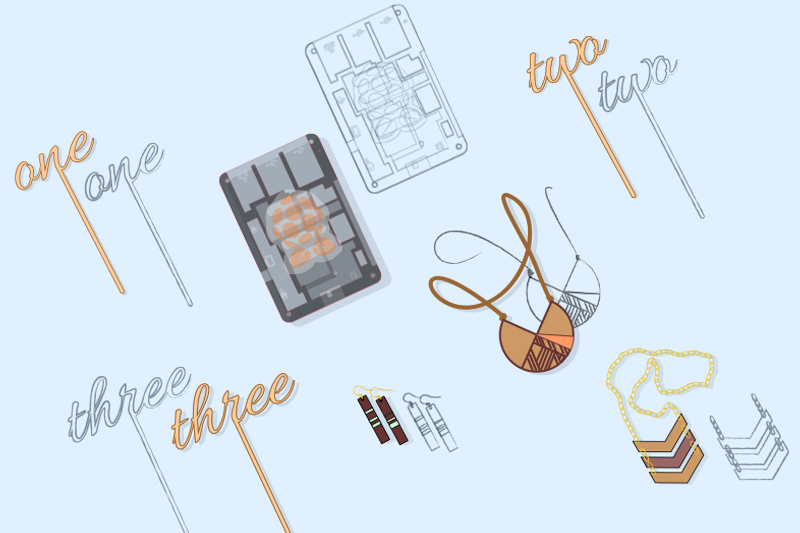 You can make anything from jewelry, tableware and electronics enclosures to conference badges, signage, book covers, point of sale displays—and these laser cut ideas are just the tip of the iceberg of potential uses. And since you can heat acrylic to give it a bend, you can give your laser cutter projects a boost by taking it beyond the constraints of two dimensions. Finally, acrylic is budget friendly, making it an economical alternative to glass. Clear acrylic is also less expensive than other acrylic colors, which only helps sweeten the appeal. SturlesiDesign Shop uses laser cut clear acrylic modules when creating the iLLuminite collection. Esty shop lesfollesmarquises showcases laser engraving on clear acrylic with Japanese doll pendants. For any ornithologists in the house, this Clear Hanging Bird Feeder from Esty shop Artbirdfeeder combines utility with style. 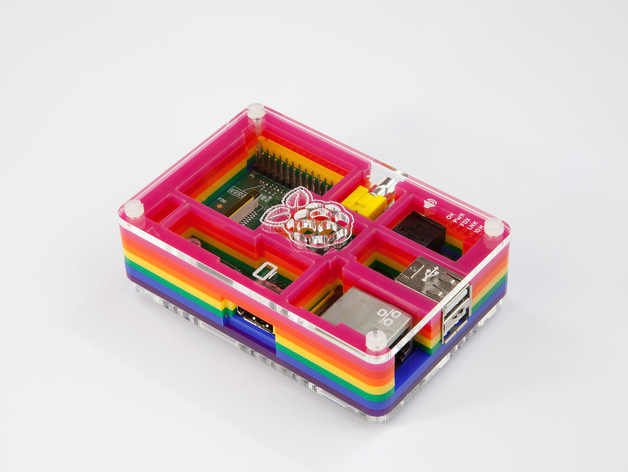 For a taste of tech inspiration, head over to C4Lab’s Etsy shop to see why this Raspberry Pi case is so sweet. Who says clear acrylic can’t have an air of haute couture? Fashion designer Joanna Vanderpuije has layered laser cut geometric shapes to give this skirt texture like no fabric can. There’s so much to love about bamboo. It is a sustainable and eco-friendly material because of its fast growth. Once formed into sheets, it is plywood, which makes it strong and durable. It can be laser cut to a fine detail and engraves beautifully. And because of its thinness, it is quick—and thus more economical—to laser cut. Bamboo is also super versatile. Makers use it for jewelry, tableware, electronics enclosures, conference badges, signage, book covers and point of sale displays. Bamboo’s prominent grain and warm hues make it stand out from a myriad of other plywoods and timber laminates. And the warm color of the amber stain makes it ideal for projects with a nature theme. Artist, designer and Ponoko maker Bridget Kearney has created an entire line of earrings, brooches and pendants made exclusively from bamboo. See her work, which is inspired by travels through the countryside collecting flora and fauna, at Caravan Creative. Feeling crafty? 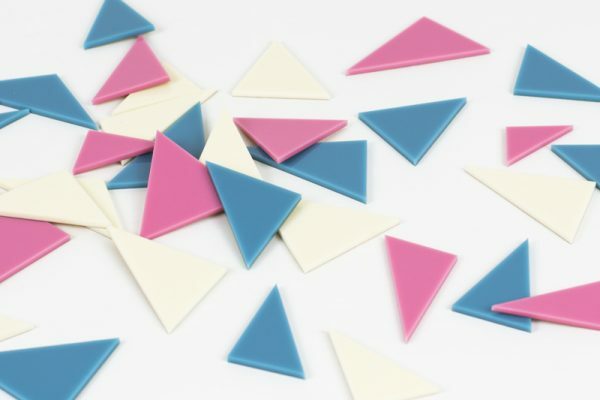 Check out these geometric wooden cabochons from Etsy seller CraftyCutsLaser. You’ll never drink tea alone with The Tea Buddy™ from Esty Seller TheOtherLabs. 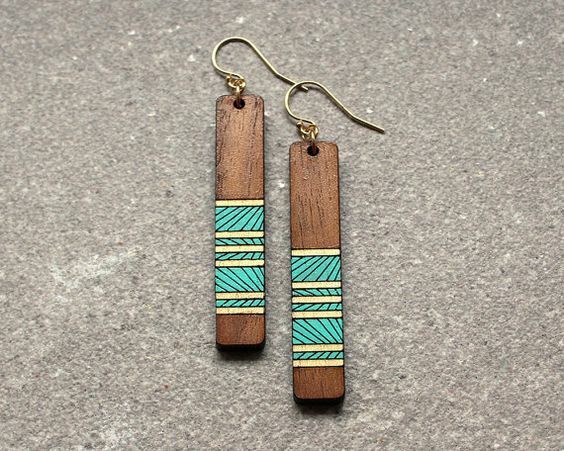 Etsy seller LHDUCK hand paints sections of these laser cut bamboo earrings to add a pop of color against the natural wood tones. Plant lovers will turn green from envy upon seeing Etsy shop MGreenhalghDesigns terrarium and scallop necklaces. Etsy Seller GeekModish makes trendy things for geeky people. Embrace #nerdpride with the math and periodic table coaster sets. 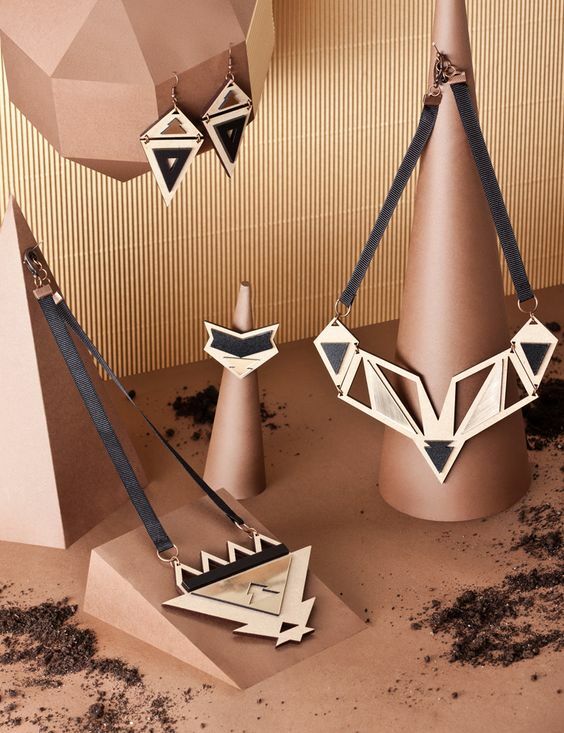 Etsy seller OrigamiZoo has taken the inspiration from the geometric shapes of origami to create a line of playful products, such as these laser engraved birch necklaces. 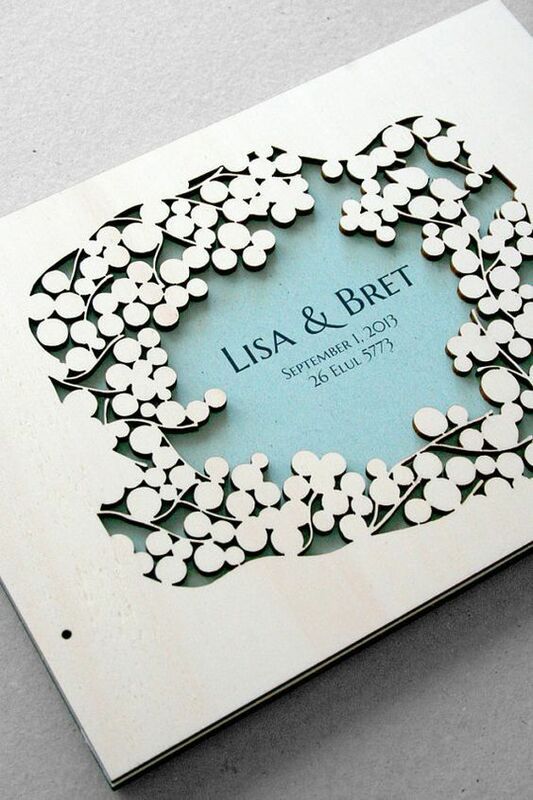 By using laser cut birch as the foundation, JSLaserCraft used to create eye catching wedding save-the-date invitation tags and magnets that leave a lasting impression as a charming memento for guests. An unexpected addition to any wardrobe, this laser cut birch wood necktie from Etsy seller CreativeUseofTech is an attractive accessory for today’s modern man. This trio of laser cut birch hanging lamps, also from Etsy seller CreativeUseofTech, cast the perfect glow and create an ambiance of warmth in any space. The “Hairwolf,” from Etsy shop miniFab, will tame the most epic of beards with its wide, long teeth laser cut from beautiful birch. When you need thicker wood for your laser cutting projects, birch veneer is the top choice. Like it’s thinner companion, this birch is commonly used for making product housings, drones, clocks, prototyping, furniture and signage. Because birch is a natural product, keep in mind that there may be an occasional knot on the surface. 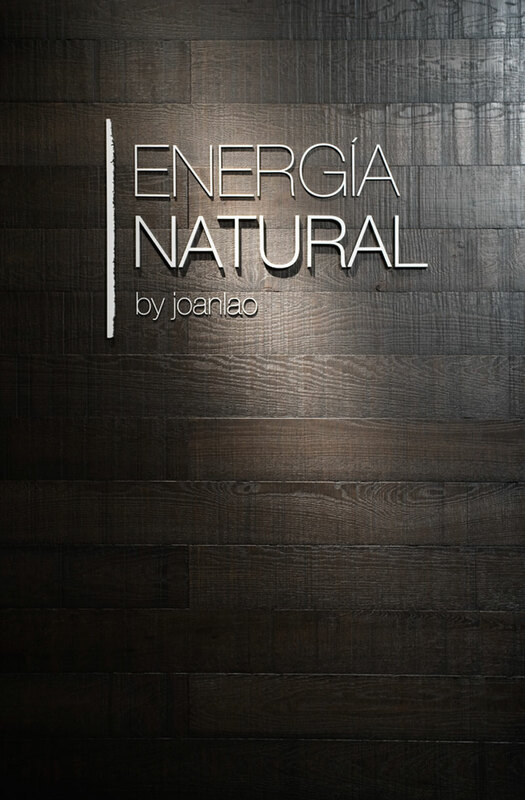 It’s part of the beauty of wood, but this characteristic can potentially impact the design. The six-pack beer case from Etsy seller nygaarddesign makes a great laser cut gift for beer connoisseurs. With the laser cut Star Wars Millennium Falcon inspired wall clock from Etsy shop HamsterCheeksStore, the force will be with you. Who would want to see chess legends Garry Kasparov and Anatoly Karpov square off in an epic match with this laser cut birch chess set designed by Matthew Livaudais? We would! Shout out from Etsy shop TwikiConcept to all the ’90s kids with this nostalgic laser cut birch key holder that features three coins from your favorite old school games. A must-have for any harmonica player, this laser cut birch storage case box from Etsy seller BrassandBirch keeps the instruments organized by key. Black acrylic is a classic favorite. Why? Because engraving looks soooo good on this material. The frosty white engraving contrasts beautifully with black. Jewelry is one of the top laser cut products from black acrylic, but it also looks smashing for anything that requires a sophisticated, sleek palette—tableware, electronics enclosures, conference badges, signage, book covers, point of sale displays, etc. And if your design includes interlocking pieces, check out this tutorial that covers how-to make it happen. Etsy seller CABfayre used black laser cut acrylic to create pendant featuring two little love birds kissing in the center of a heart filled scallop-edged oval. As if cake wasn’t delicious enough on its own, Etsy shop LoveGarlands’ laser cut black acrylic cake topper really makes us want to celebrate. It’s ok to leave your cape at home as long as you’re carrying the laser cut black acrylic Batman or Superman silhouette keychain from Etsy seller SolPixieDust. Laser cut black acrylic honeycomb earring from Etsy shop liseLOVE add a modern, geometric statement to any outfit. Make a lasting impression with laser cut black acrylic business cards from RockDesign. Matte black acrylic is a close second to traditional black acrylic and is used when you want a silky satin finish that doesn’t reflect everything. Engraving contrasts well on matte black acrylic too, making it perfect for jewelry, tableware, electronics enclosures, conference badges, signage, book covers and point of sale displays. Etsy shop SkullAndHawk uses laser cut black matte acrylic to create lapel pins/tie tacks. If you’re looking to make a statement, this geometric statement necklace made from laser cut black matte acrylic from Etsy seller PrettyUrbanCo should do the trick. A subtle way to raise a smile, the laser cut Smile necklace from Etsy’s RoseThomasShop is a contemporary and fun piece made from matte black acrylic. If you want to power up your fashion game, check out these laser cut black matte acrylic Pac-Man earrings from Etsy seller muchoshop. When you need a thicker bamboo for those bigger laser cutter projects—such as this award-winning modern birdhouse—look no further than the three-ply 6.7mm bamboo. As a plywood, it’s nice and strong. Since bamboo is 100% renewable, it’s an ideal choice for the eco-friendly crowd. The amber color is a golden brown with a fine grain. The bamboo joints are visible on the surface, breaking up the grain to create a unique appearance. And like the thinner bamboo materials, you can also make jewelry, tableware, electronics enclosures, conference badges, signage, book covers and point of sale displays from this thickness as well. Laser cut bamboo signs make a statement. This modern and motivational art piece from Etsy shop Cabin will inspire you to have a beautiful day. Check out this custom coat hanger from bridenew. 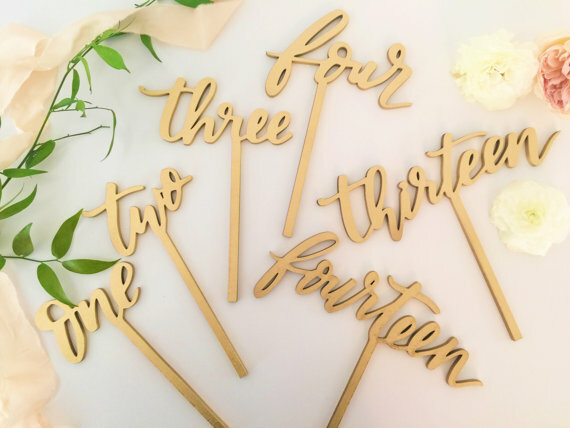 Etsy seller ElectricElmDesign makes wedding cake toppers from laser cut bamboo to celebrate happily ever after. 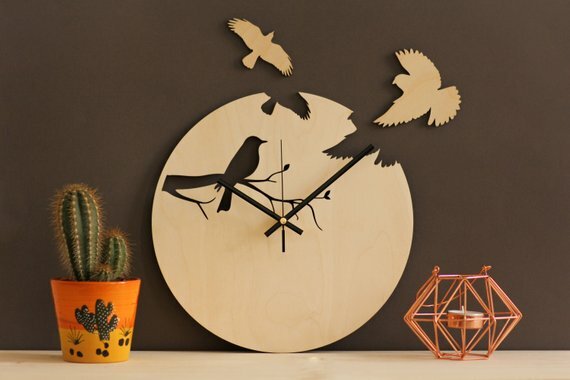 Telling time has never been so much fun as with these laser cut bamboo clocks from Etsy shop HOMELOO. Designer Andy Shen uses interlocking pieces of laser cut bamboo to create Booboo drones. Cardboard is a great choice when creating prototypes of designs, as it is inexpensive and cuts quickly. Creating structures from corrugated cardboard can be a great way to test out complex designs because slotting, stacking and folding shapes all work well to create 3D forms. But don’t think that cardboard is limited to prototyping. With the right inspiration, it is sophisticated enough to stand on its own. See these 20 designs and you’ll know why. While cardboard has a lot of great applications for laser cutter projects, keep in mind that it isn’t great for super intricate designs. And you’ll want to keep it away from heat sources unless the cardboard is treated with an environmentally friendly fire retardant because it catches fire easily! Inspired by the sculptural and infinite layers of the American Grand Canyon, architect Giancarlo Zema merged high design with recycled cardboard to create an innovative collection called Canyon for Origami Furniture. Graypants’ flagship Scraplight series of laser cut cardboard pendant lights provides warm, intimate and functional lighting for any occasion or type of space. Aidan Chopra created the most epic Halloween costume for his son using laser cut cardboard. Named “Not A Box,” this lamp by David Graas uses it’s own laser cut cardboard packaging as the lampshade. He also designed this innovative “FIY” (Finish It Yourself) children’s chair, which he describes as “one step beyond Do It Yourself” since it incorporates the cardboard packaging with the laser cut chair pieces. With black acrylic making the list (twice! ), you shouldn’t be surprised to see white acrylic make the list too because it such a classic, neutral color. Acrylic cuts precisely, so you can create beautifully intricate designs with this material. This is probably why so much jewelry is made from acrylic. But it’s also suitable for tableware, electronics enclosures, conference badges, signage, book covers and point of sale displays. Etsy seller BenditaIndomina found inspiration for this laser cut white acrylic necklace from dragonfly wings. These laser cut white (and black!) acrylic bunny rings are a part of Etsy shop NocturneDesignsCut’s “cute animals” series. 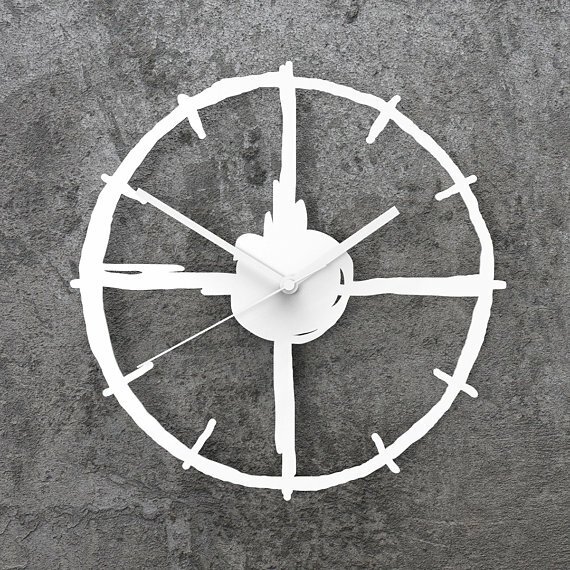 Etsy seller decoylab adds laser cut white acrylic atop bamboo bases to create one-of-a-kind clocks. Artist Sandra Fettingis uses laser cut white acrylic to create geometric wall hangings. White laser cut acrylic placemats from Etsy shop ByCharlie add sophistication and elegance to any table setting with diverse patterns inspired by old fashioned paper doilies to fish scales. Another budget-friendly material, MDF has a warm golden tone and a smooth texture that makes it easy to glue and paint with pretty much anything. It’s great for creating complex 3D forms, so it lends itself well to making models, drones, clocks, prototypes, furniture and signage. Check out this previous post for even more laser cutter projects. Inspired by historical industry lighting, the No.19 industrial lamp from Etsy shop HetLichtlab is designed to be assembled without screws or glue—using as minimal resources as possible. Flat pack animal heads from Etsy seller TheCraftyCowLtd keep animals safe by being made from laser cut MDF. 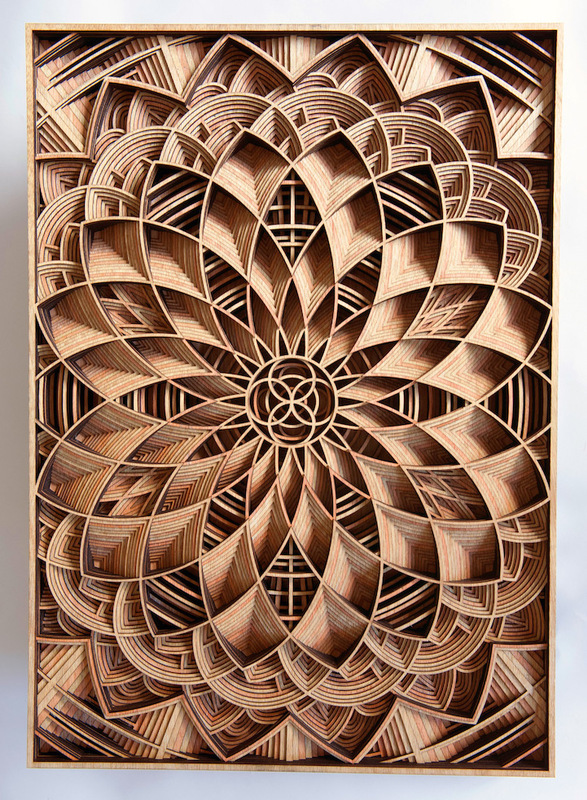 Etsy shop CedarStreetDesign pushes the limits of what laser cutting can do with its intricate mesmerizing patterns on this surprisingly sturdy MDF box. The laser cut curved lines and organic shape of the Pendant Antler by Etsy seller Lampshapers create a natural, yet modern, aesthetic. The beautifully stylized scale models from Etsy shop ScaledDimensions embraces Filipino ingenuity while creating a one-of-a-kind, modern sculpture that it is the perfect laser cut gift for art lovers and miniature enthusiasts. Are you ready to start making? Surely your creative juices are flowing after seeing all of these laser cutter projects! Use this post anytime you need some inspiration to get out of a creative rut. So bookmark this bad boy and refer back often! And let us know what you’ve been inspired to make because of this post. We want to celebrate your success! Got pics of your creations? We’d love to see them. Mention @Ponoko on Twitter or give us a shout on Facebook. Login here to get started. Happy Making! Interested on laser applications , we are looking for proyects we can mass produce and useful products, thanks for the ideas and proyects you can share. Thanks for getting in touch. 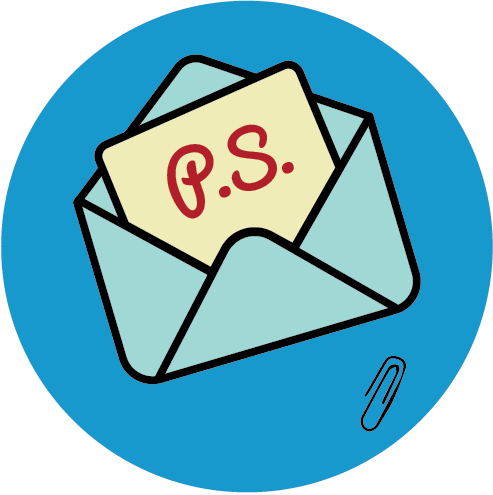 Please email us at service[at]ponoko[dot]com if you’d like any more info or ideas.